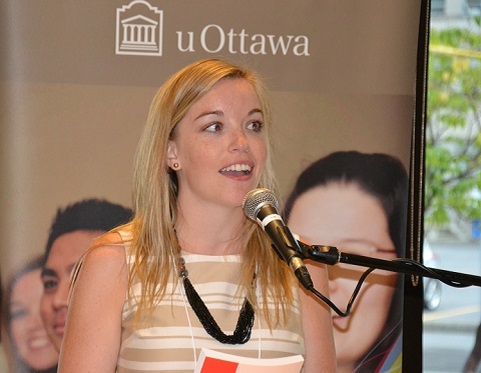 Keri Ryan’s quest for bilingualism brought her to uOttawa, where she became friends with three women she met during orientation week. 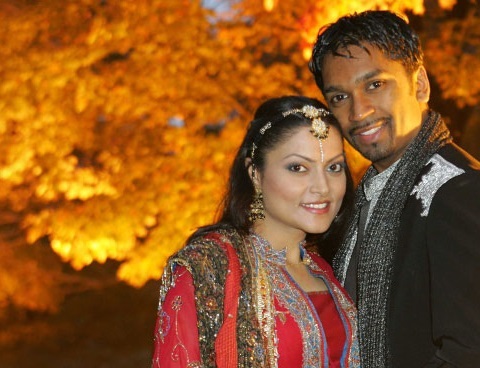 They formed enduring bonds despite diverging career paths. Ryan’s has now taken her to Hong Kong. 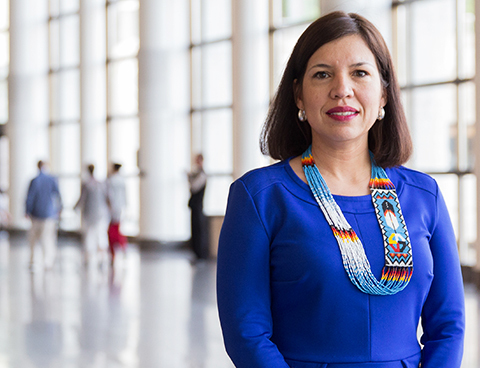 Whether as researcher, cabinet minister, professor or dean, Monique Bégin has devoted her life to improving the lives of Canadians, especially the most vulnerable. 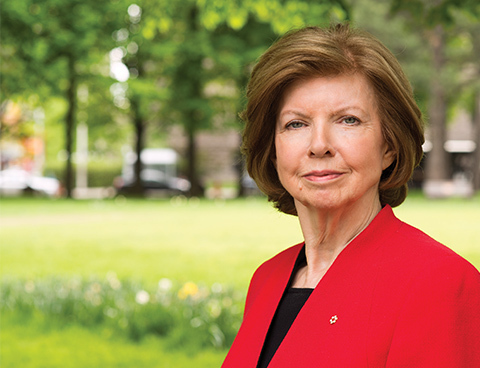 The University of Ottawa, which she calls “my university,” has been enriched by her vision and dedication. 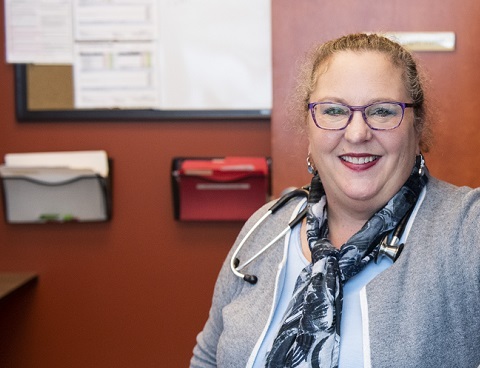 For the past 30 years, the award-winning uOttawa alumna and professor in the Faculty of Medicine has ensured that medical residents in Ontario have access to training in French. 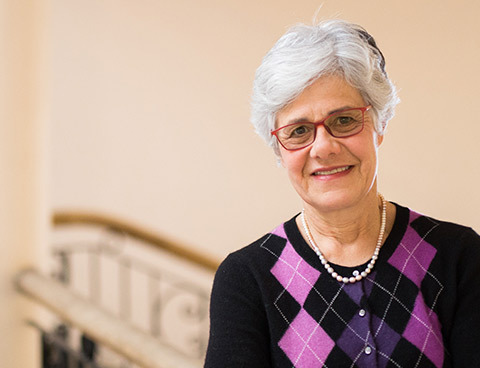 She herself has trained, in French, more than 200 family doctors. Eight visual arts and engineering students can now enjoy bragging rights for leaving their mark on the University. The brand-new STEM Complex showcases the two works of art they created and built under the STEAM project. 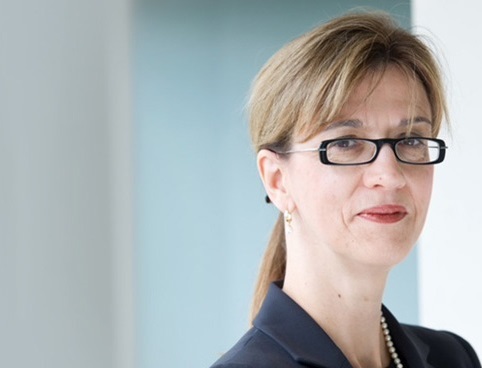 Diane Côté has a power position at the heart of global finance in London, but still makes time to act as an ambassador for her alma mater. The iconic consumer rights champion knows from experience that citizens armed with facts can hold the powerful to account. He gave an inspiring talk during Criminology Week 2018, marking the department’s 50th anniversary. 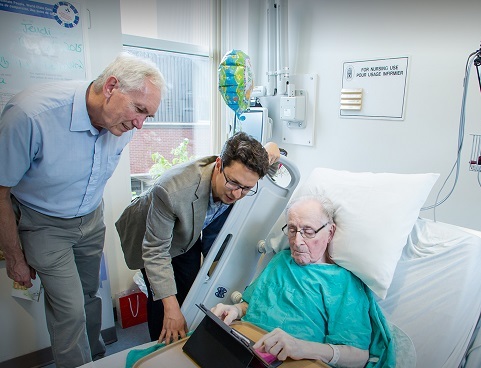 The uOttawa alumnus salutes the people and the principles that led him to The Ottawa Hospital’s top job and the Order of Canada. 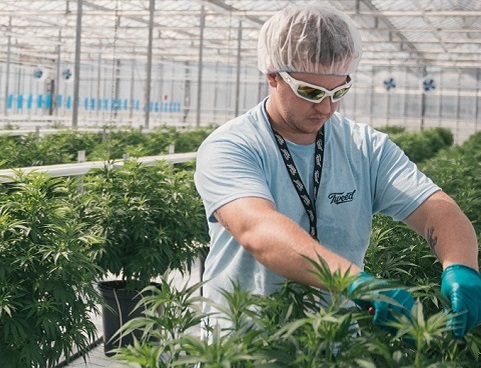 As Canada becomes the first G7 country to legalize recreational cannabis, five alumni working in the sector reflect on this transformative move. The big web giants have access to billions of pieces of our personal data. And with massive amounts of data, comes power. Can we prevent such wholesale access to our data, and, if so, how? 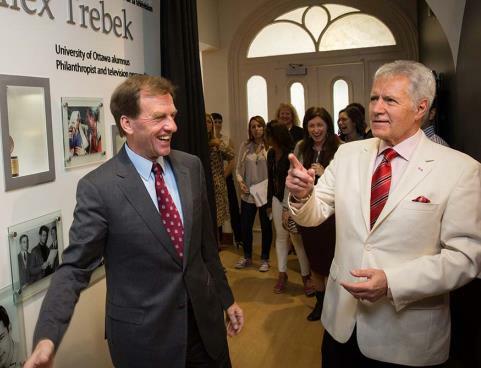 Bernard Kouchner, one of the greatest advocates for human rights, left no one unmoved when he spoke at the Alex Trebek lecture series during Alumni Week 2018. 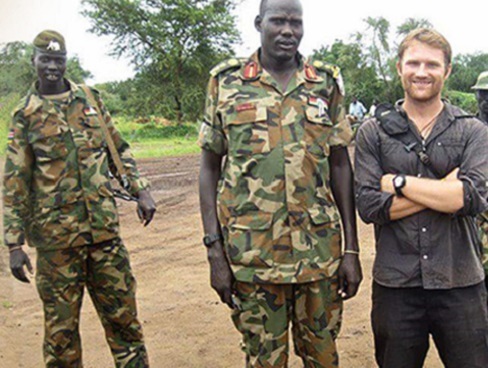 Read about his journey and his views on humanitarian intervention. 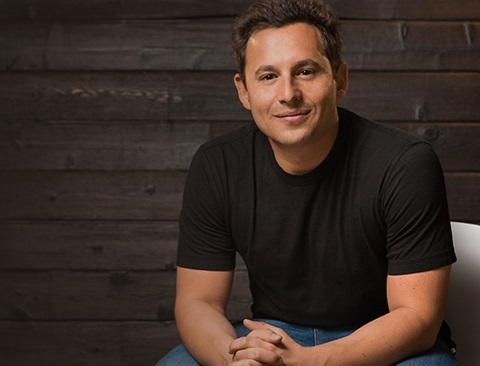 As a key witness to the revolutionary change that digitization has brought to the workplace, Shopify's Chief Operating Officer, Harley Finkelstein (LLB and MBA ’09), shared his thoughts at the Chancellor’s Debate on The Future of Work. 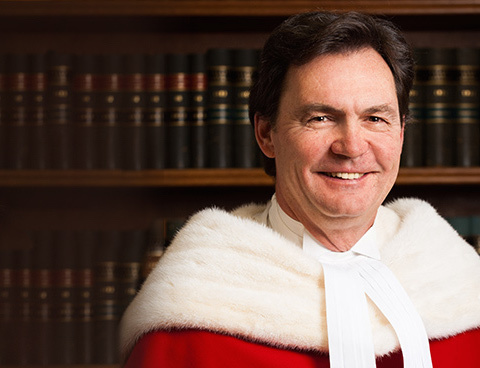 Justice Richard Wagner was sworn in as chief justice of the Supreme Court of Canada in December 2017. 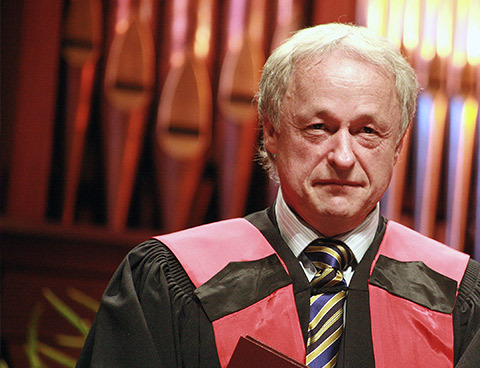 In January 2013, the Faculty of Law had the pleasure of welcoming him back to the University where he earned his political science and civil law degrees. 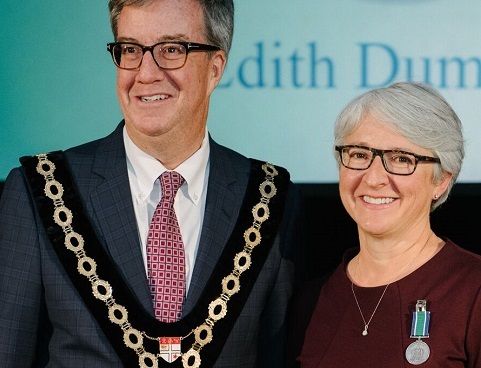 Education is a community affair for Édith Dumont and her school board, where efforts to welcome newcomers and broaden students’ horizons are attracting international attention. 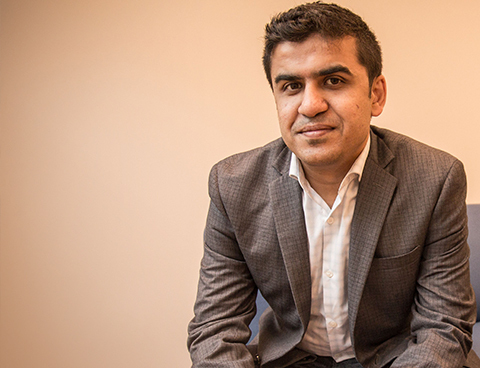 Malik Ladhani’s spirit of engagement has already led to a formative experience at uOttawa, rewarding jobs in Jordan and the Kyrgyz Republic, and Harvard Law School. 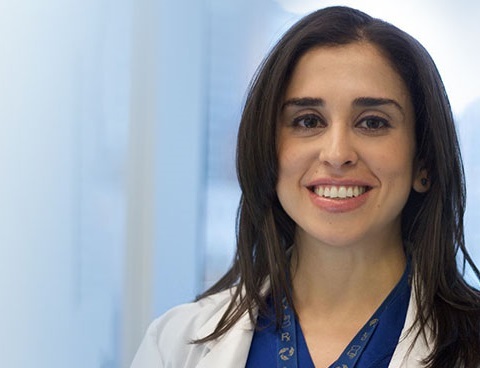 Dr. Siba Haykal sees reconstructive surgery as a way of bringing hope to people who have suffered the traumatic effects of disease, accidents or war. 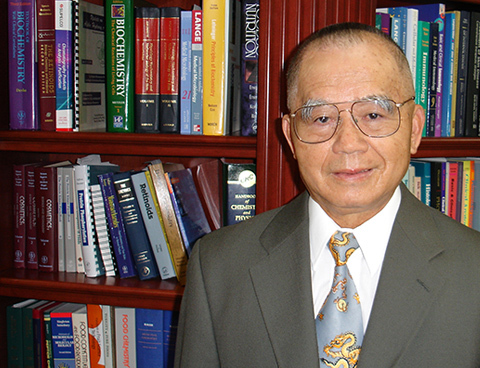 Excerpts from a new memoir by Ruey Yu, an alumnus with an inspiring life story who has received an honorary doctorate from uOttawa. Read more about LabO: coming soon! 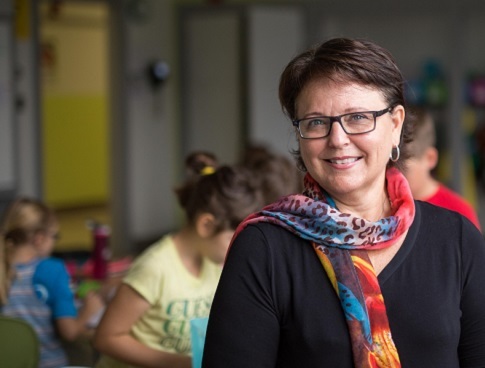 Inspired by the successful Finnish educational model, Carole Payant is creating “a dream school for children” as she transforms a heritage building into a 21st-century learning environment. 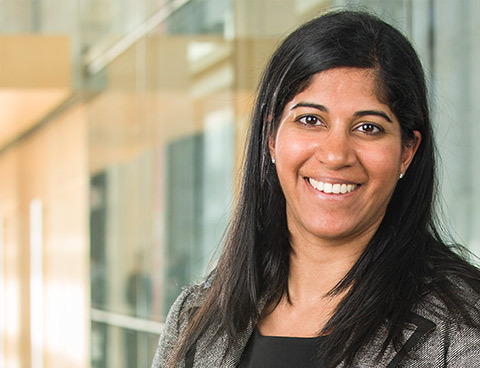 Meet four alumni whose stories illustrate the impressive capacity of uOttawa grads to find their passion and build meaningful careers. 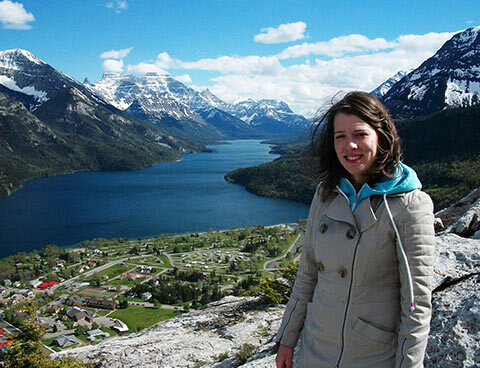 Alumna Catherine Sorbara is among a select group of women going to the ends of the Earth to fight climate change and gender inequality. 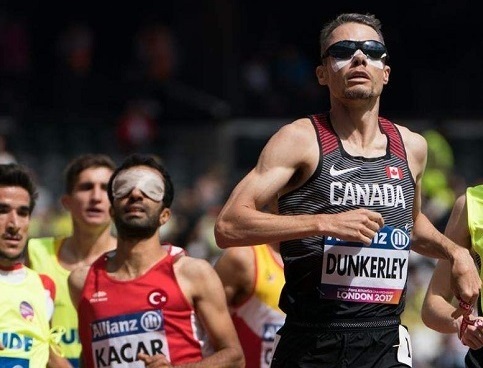 Jason Dunkerley added another world-class performance to his collection after winning silver in the men’s 1,500-metre T11 race at the World Para Athletics Championships in London. 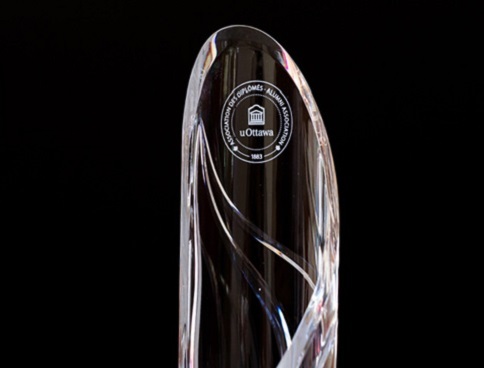 Meet the recipients of the 2017 Alumni Association Awards of Excellence, exceptional individuals who are giving back to the University and the community. 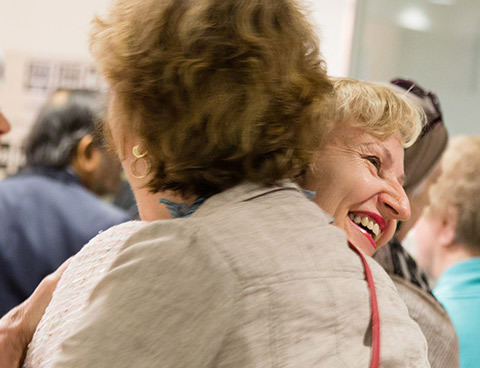 From April 29 to May 6, reconnect with classmates and rediscover your favourite campus as uOttawa hosts the popular annual get-together for alumni, their families and friends. 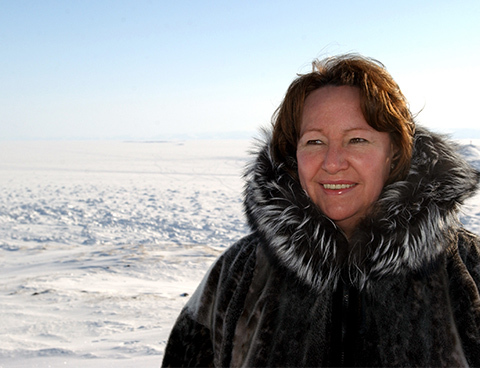 This year’s Alex Trebek Distinguished Lecture Series speaker, Sheila Watt-Cloutier, wants Canadians to join forces to protect our environment, her remarkable Inuit culture — and Arctic ice. 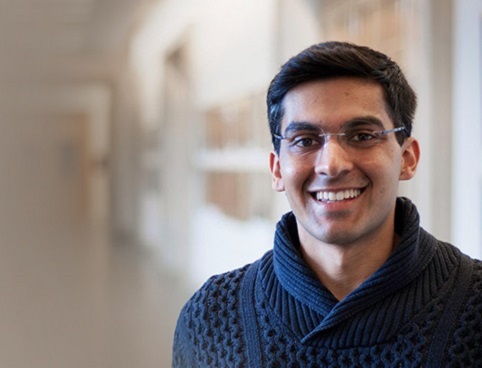 Lawyer and film producer Shawn Singh adds philanthropy to his many ventures by generously funding a lecture series and two PhD scholarships at his alma mater. 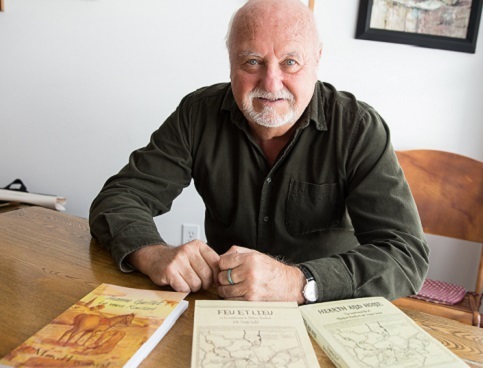 Alumnus Peter Wright has an award for bravery from the Governor General of Canada and some sage advice for others aspiring to a career in foreign affairs. 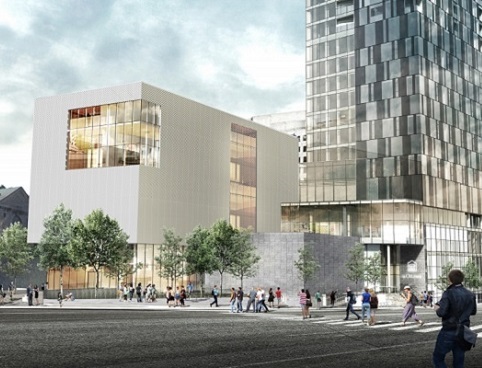 Canada C3 is a signature project to celebrate Canada’s 150th anniversary in 2017. 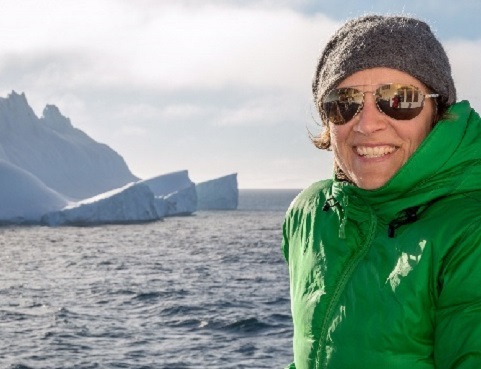 It is also Professor Lisa Glithero’s latest adventure in a career devoted to connecting youth to the natural world. 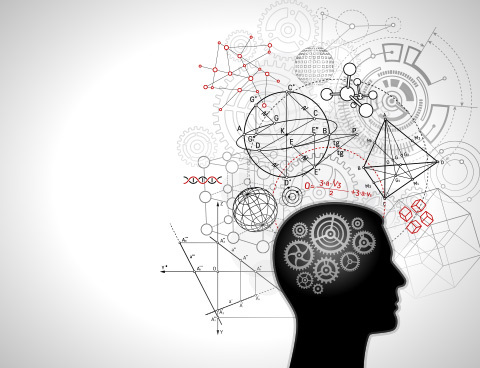 University of Ottawa neurologist Dr. Antoine Hakim probes the fascinating links between the two conditions. 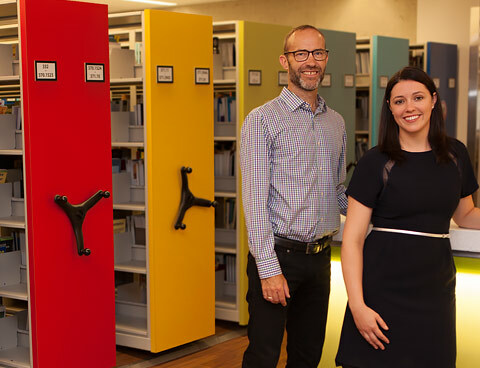 As uOttawa’s Faculty of Education marks its 50th anniversary, we trace some interesting career paths back to its classrooms. 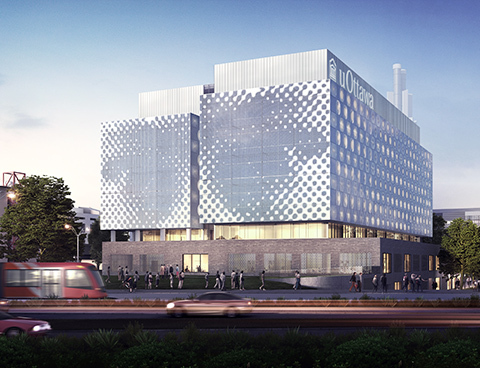 The University of Ottawa’s new state-of-the-art STEM complex will promote innovation by combining interdisciplinary research and hands-on learning with entrepreneurial expertise. 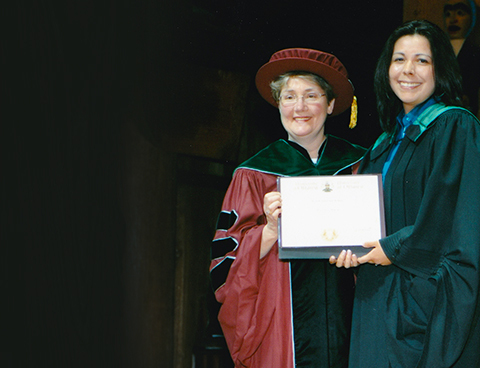 In her work and in a new book, Canada’s first Indigenous woman to earn a PhD in criminology challenges myths and champions solutions. 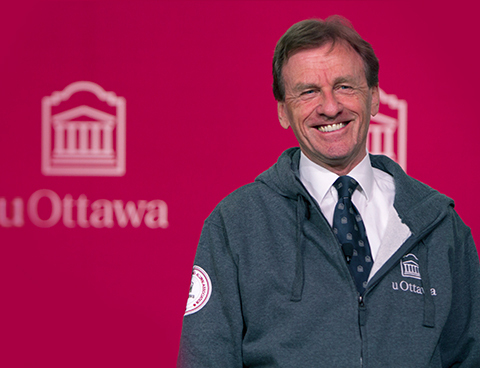 Canada's minister of sport and persons with disabilities, "a very proud uOttawa alumna", kicked off Career Week 2017 with an inspiring keynote address. 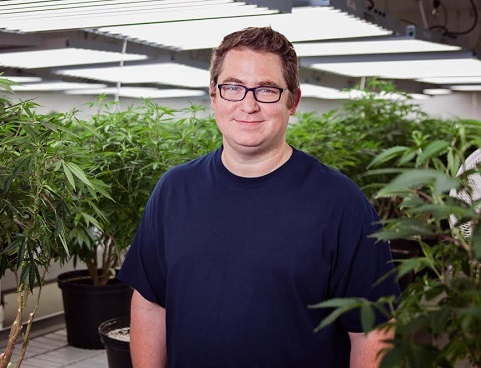 From cataloguing hardy plants and lichens in Canada’s Arctic to simulating a mission to Mars in the Utah desert, botany is about more for Paul Sokoloff than pressing flowers. 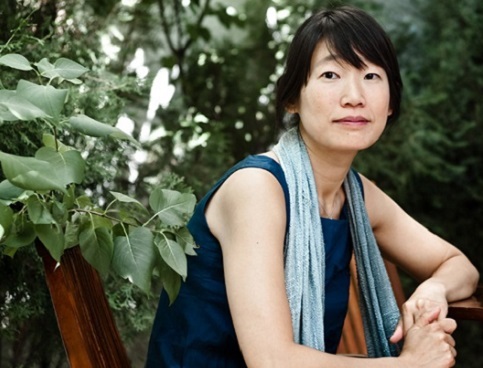 When Madeleine Thien was not busy this fall picking up literary awards for her acclaimed novel Do Not Say We Have Nothing, she was mentoring uOttawa students as writer in residence at the Department of English. 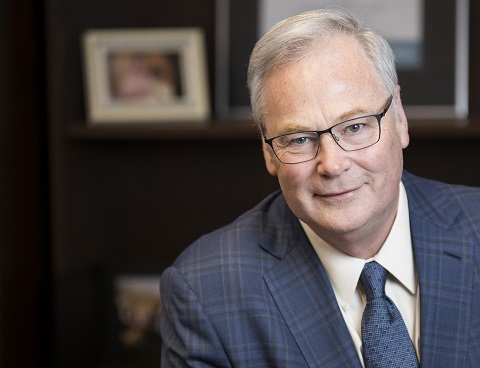 The University of Ottawa’s new president has spent his distinguished career thinking and caring deeply about higher education. He now looks forward to reflecting as a community on what lies ahead. Bullying is a worldwide phenomenon that can happen to anyone. 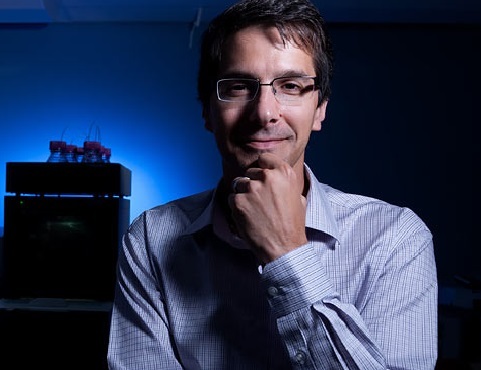 University of Ottawa researchers’ work on the topic has sometimes been inspired by personal experience. 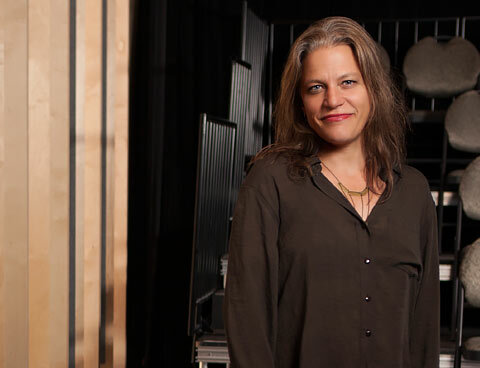 Theatre alumna Anne-Marie White has been named head of a French-language arts space in Ottawa that has recently undergone a major makeover. Do love and learning go together? At uOttawa, it seems that they do. 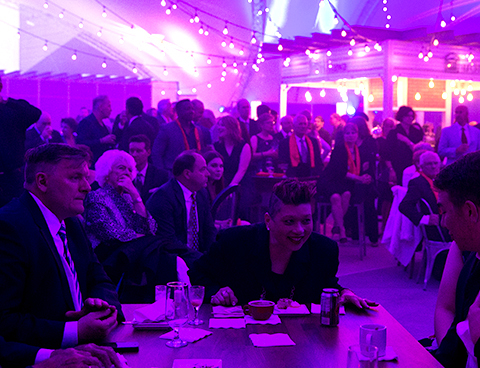 Many of our alumni met — and married — the girl or guy of their dreams on campus, be it in the 1960s or in 2016. 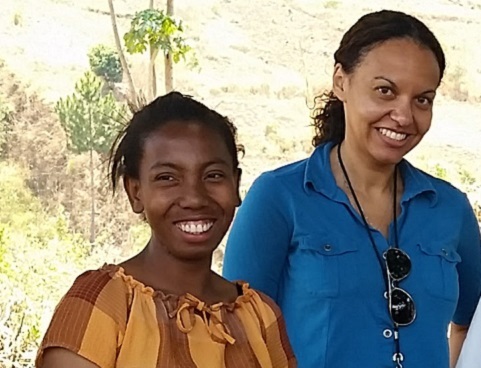 The striking similarities between fraternal twins Audrey and Sarah Giles aren’t just skin deep — both have embarked on humanitarian career paths dedicated to improving health in Canada’s North and abroad. 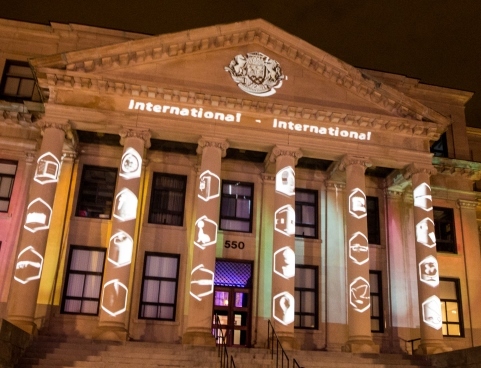 uOttawa’s Human Rights Research and Education Centre has created a unique short course that encourages participants to explore art as a tool for promoting human rights. 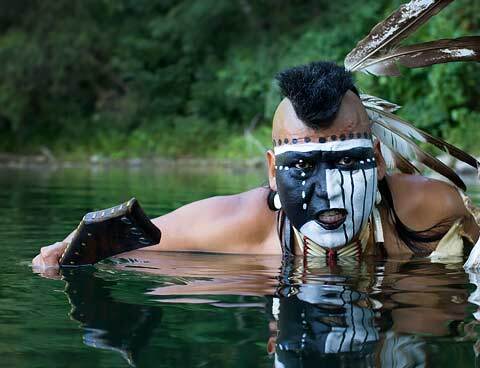 First Nations students and uOttawa teacher candidates both benefit from an enduring partnership that is helping to preserve Algonquin culture and bring Indigenous perspectives into the curriculum. 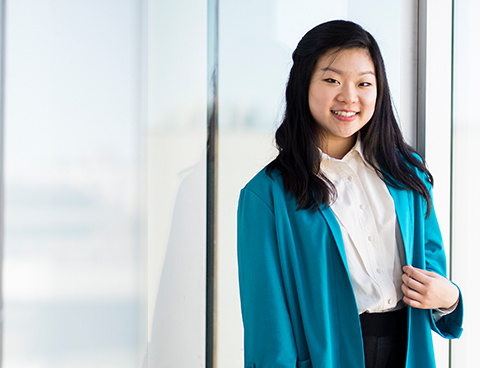 By trying out a variety of jobs, students like Esther Kim are expanding their horizons and adding value to their degrees. 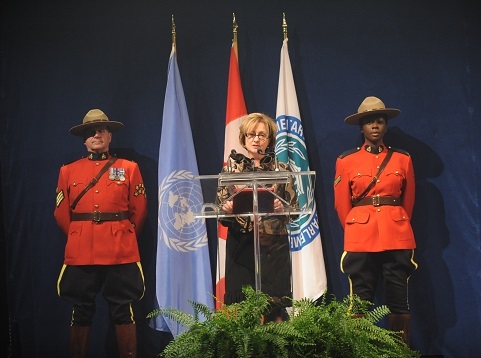 They are also invigorating workplaces, in Ottawa and beyond, with their energy and enthusiasm. 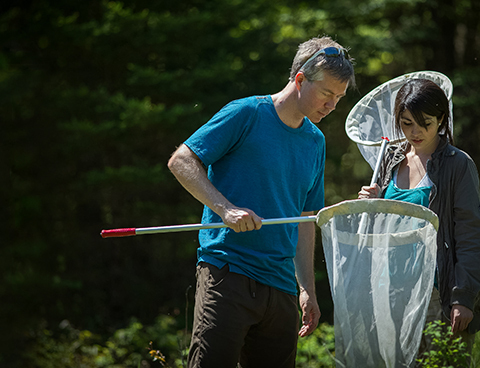 A uOttawa professor is at the forefront of an innovative project to save monarchs from extinction by mobilizing Canadians to keep an eye on habitats where the king of butterflies breeds. 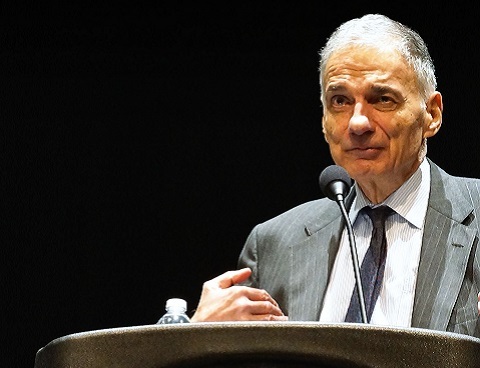 After eight years at the helm, the high-energy president leaves a strong legacy that includes a more globally engaged university, proud of its bilingualism and research excellence. 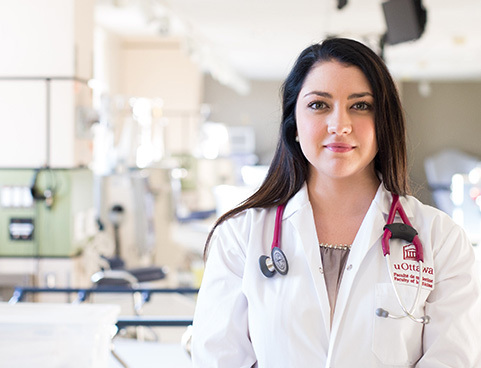 Canada’s first Indigenous forensic pathologist found her career path in her first month of medical school after hearing a professor’s simple explanation about how cells change. 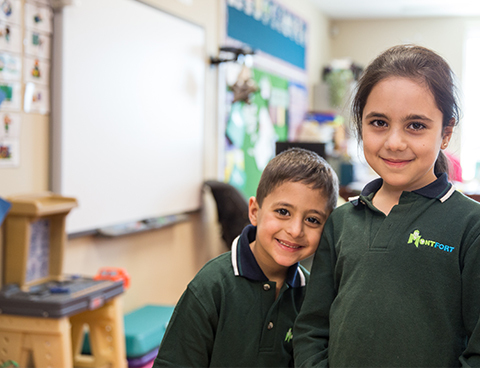 Syrian children joining classrooms across the country are the latest new arrivals being helped by caring teachers to integrate into Canadian society. 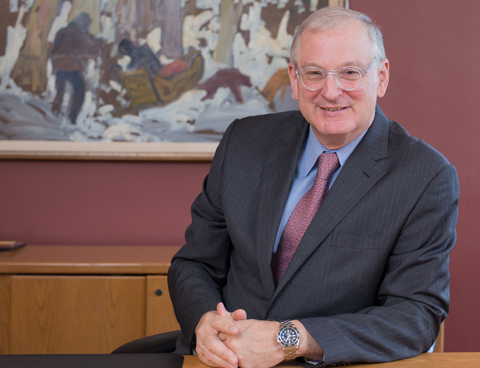 The distinguished alumnus has given $5 million to uOttawa to create the Forum for Dialogue. 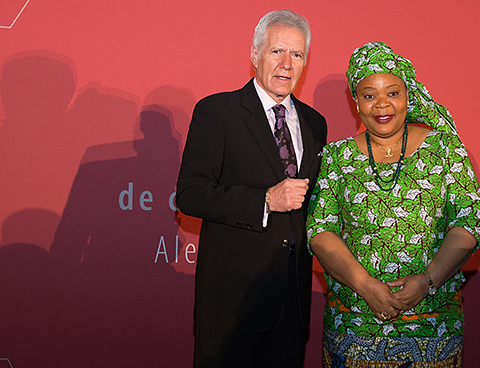 His latest donation means we’ll hear from more powerful voices like Nobel Peace Prize Laureate Leymah Gbowee. As innovators shake up the established financial services ecosystem, two alumni have carved out a niche in this rapidly evolving sector. 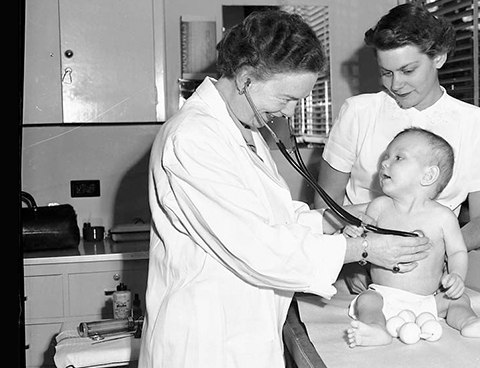 Veteran Globe and Mail health columnist André Picard argues that knowing something about the history of health care in Canada is crucial to understanding its current struggles. 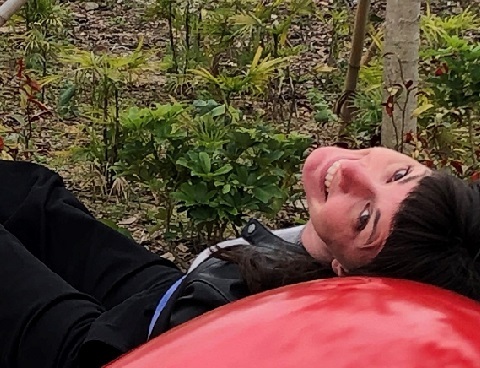 As her hit show Roller Derby Saved My Soul continues to charm audiences, alumna Nancy Kenny is pouring her passion for fringe theatre into the first documentary about the fringe festival circuit. 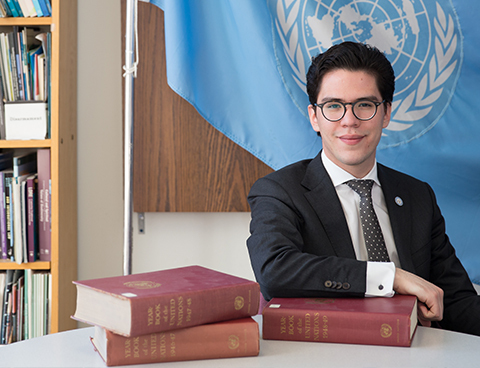 The skills Elias León developed in the uOttawa international studies program are serving him well in his current job. He’s not the only one benefitting from the program. A special tribute at the Come Together uOttawa! gala looked back at his eight impressive years as president, plus the incredible tale of driving a Beatle in his Beetle. How do children learn the sounds of a language? How do they develop the ability to plan for the future? 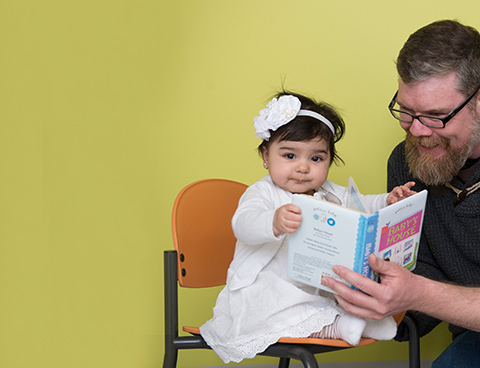 Take a trip to an Ottawa museum where families can have fun exploring these questions while taking part in groundbreaking studies with uOttawa experts. Meet Jean-Maurice Lafond and Aida Stratas, two enthusiastic class reunion ambassadors who will welcome former classmates back to uOttawa for class and affinity group gatherings during Alumni Week 2016. Fannie Desforges’ life turned upside down in an instant. This talented athlete now knows what it’s like to have been thrust into ill health, just like the students she taught at a children’s hospital. 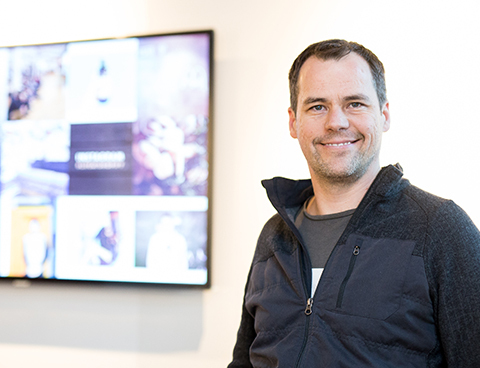 Jean-Michel Lemieux, senior vice-president of engineering at e-commerce solutions company Shopify, says curiosity and creativity keep him at the top of his software development game. Brigitte Noël has put her free spirit and creativity to good use as a VICE Media correspondent, one of a new generation of journalists making waves in the emerging world of digital media. 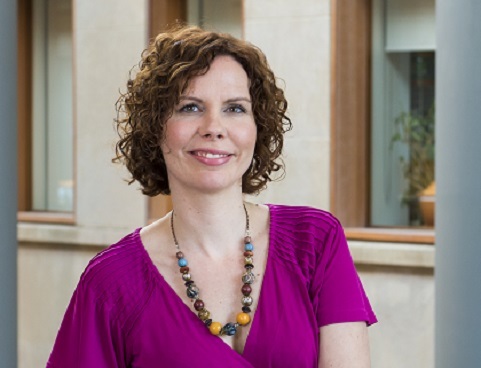 Indigenous legal scholar Tracey Lindberg, author of CBC Canada Reads finalist Birdie, looks forward to joining the Faculty of Law at an exciting “time of possibility” in Ottawa. 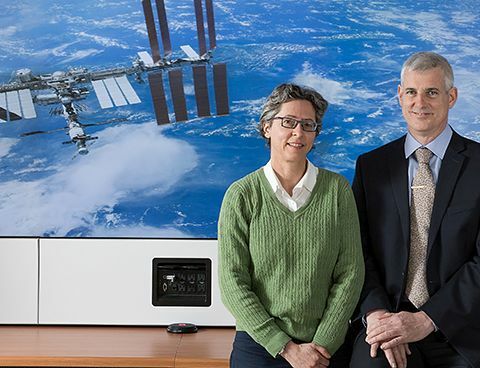 Two uOttawa researchers are studying astronauts’ bone marrow to find clues that could help space travellers recover from weightlessness and patients on Earth get back on their feet more quickly after prolonged immobility. 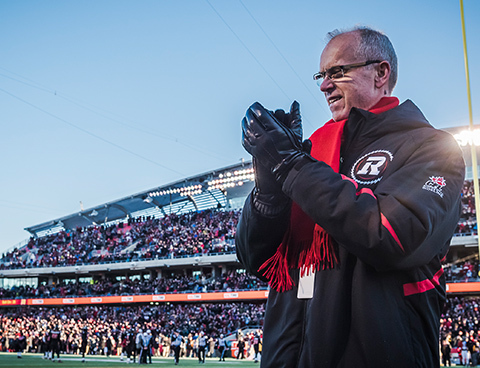 After redeveloping Lansdowne Park and restoring a sense of pride in Ottawa football, the Telfer alumnus scooped up Ottawa’s CEO of the Year award. His next goal: learning to use Twitter. 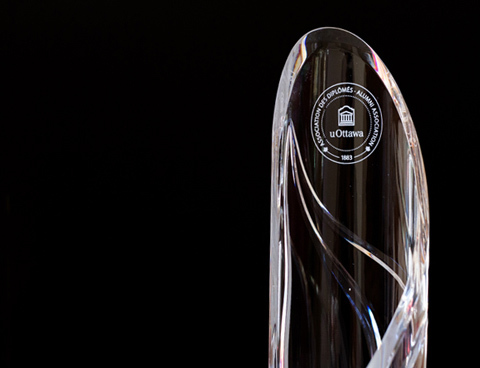 Be inspired by the six recipients of the 2016 Alumni Association Awards of Excellence. 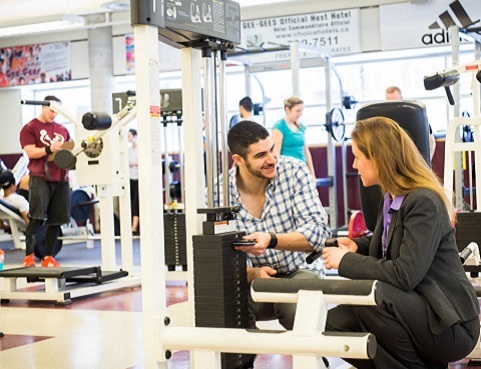 Plan on attending the University of Ottawa’s annual alum-fest, Alumni Week, from April 30 to May 7! Reconnect with old friends. Rediscover your campus. Refresh your mind with lectures. Plus have a whole lot of fun. 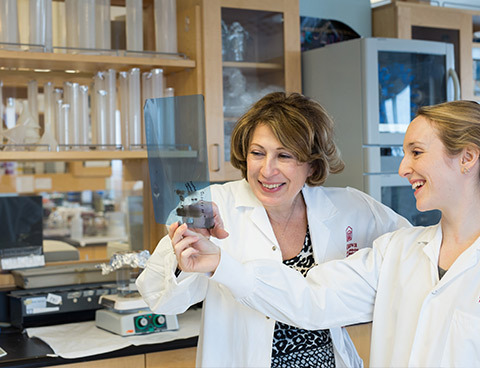 Pioneering work by Mona Nemer involves identifying genes critical for normal heart development. 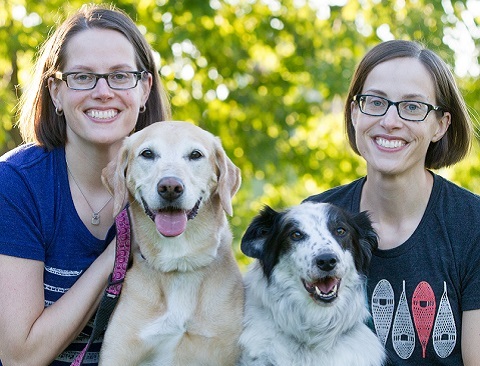 Her goals: fewer birth defects, less cardiac disease, better patient care. 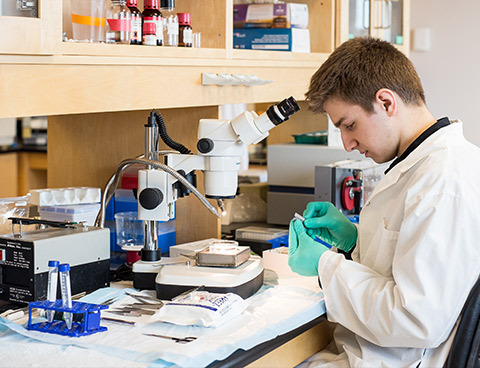 Jamie Ghossein may be only partway through his studies in biochemistry, but he is already playing an active role in research on kidney disease. 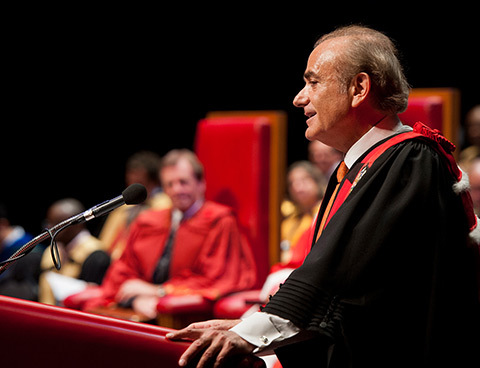 Calin Rovinescu officially became the 14th chancellor of the University of Ottawa at an installation ceremony on February 5, 2016. 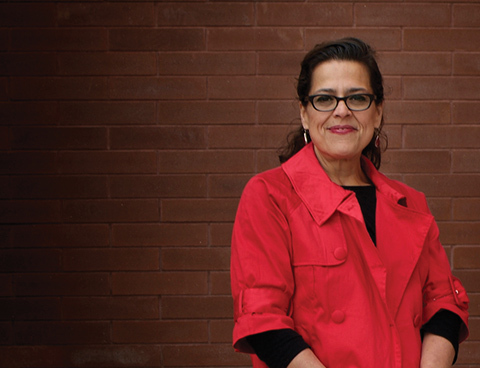 Alumna Louise Plouffe designed a global blueprint for making cities better places to live for older people. 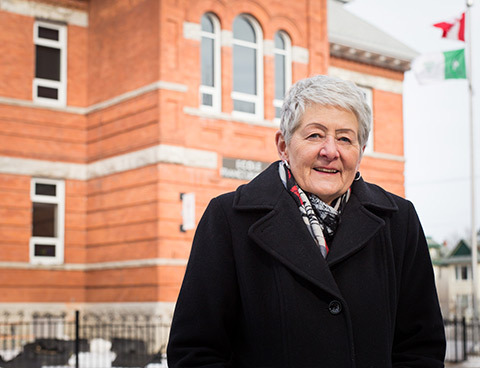 Now she’s back on campus at the new International Longevity Centre Canada. 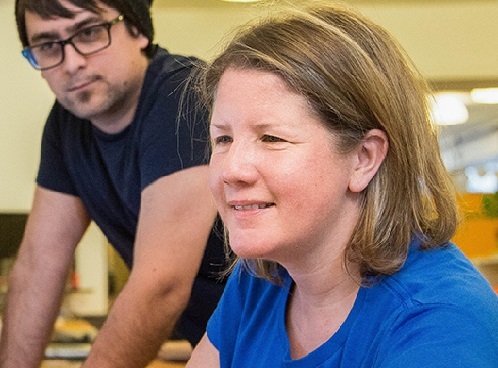 A uOttawa electrical engineering degree helped Sue Kolloru Barger build a busy international career, and fuelled her passion for championing women in technology. How do you build an impressive career in law enforcement? 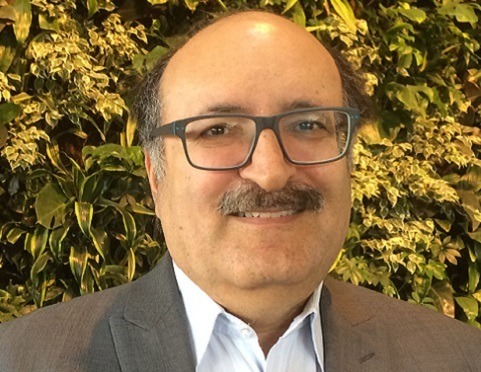 Lino Maurizio, Vice President, Head of Investigations at SNC-Lavalin, shares with students the secrets of his success. 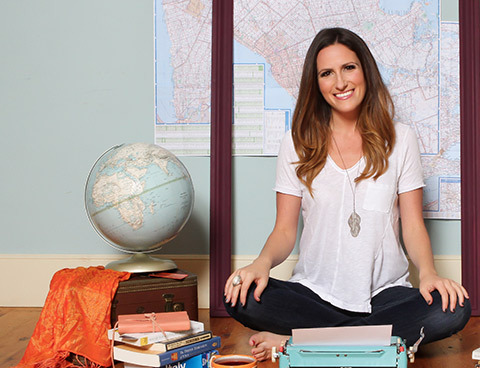 Yoga fan Angela Urquhart Osborne is a communications grad, travel blogger and author whose career path has been anything but typical! 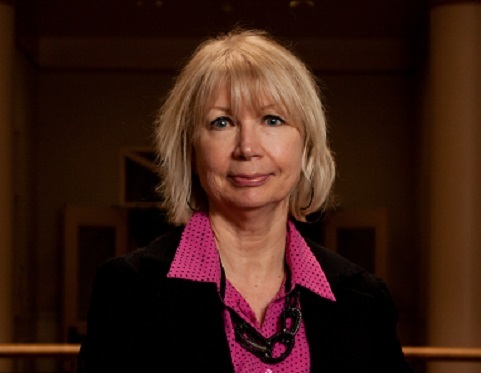 A leading figure in French-language education in Ontario, Mariette Carrier-Fraser has worked relentlessly to ensure that Franco-Ontarians have fair access to essential services. Meet this inspiring woman. 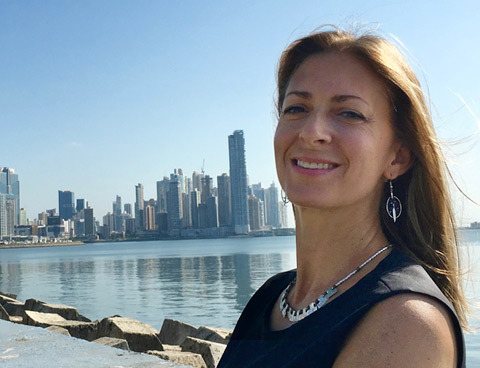 From lobbying ministers to muddying boots in the mines, there’s no such thing as a typical day for Karine Asselin (LLL ʼ90), Canada’s ambassador to Panama. 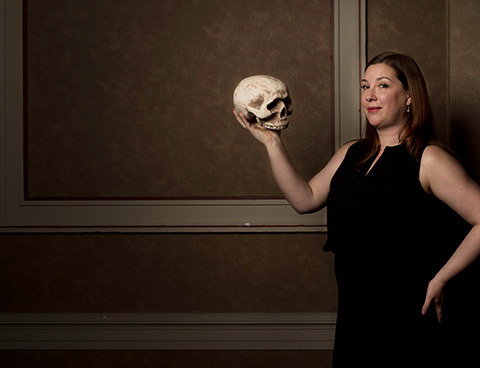 The University of Ottawa’s Faculty of Arts has organized a series of events to celebrate the Bard’s tremendous impact and afterlife. Alumni are invited to join the party. Surely you have heard of the butterfly effect, namely that tiny changes in initial conditions amplify over time to have major consequences down the line. 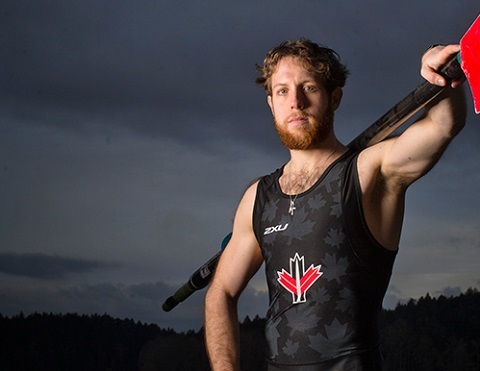 Marc LeBoutillier is living proof of just such an effect. 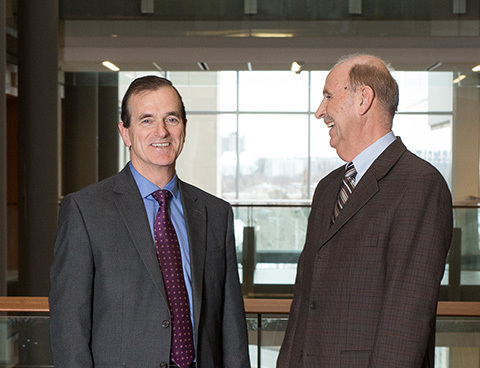 The inaugural recipients of the Faculty of Science Alumni Award of Excellence each began their journey the same way - by stepping into Marion Hall. 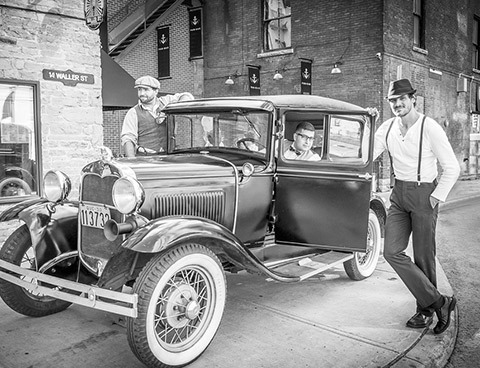 Three uOttawa alumni have opened a micro-brewery just a stone’s throw from their alma mater, offering a personal feel to the craft brewing experience. 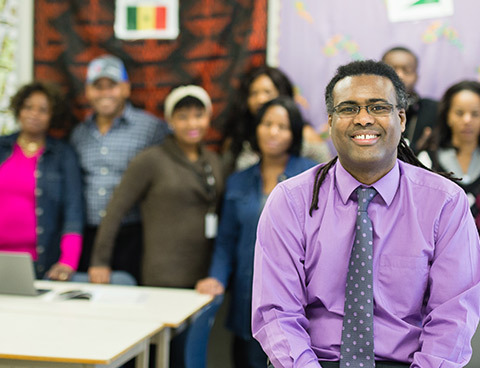 Through his community engagement and his humanitarian vision, teacher Abdi Bileh Dirir facilitates dialogue between cultures. 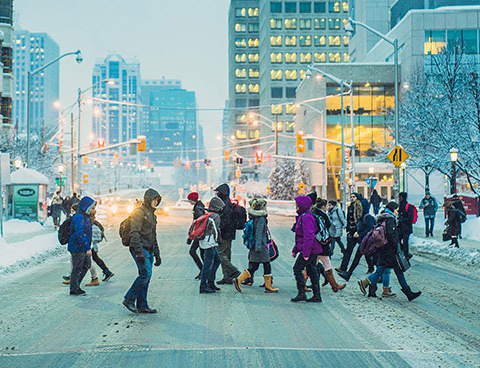 The University of Ottawa has a significant economic footprint and delivers substantial social, cultural and community benefits, says a new report. 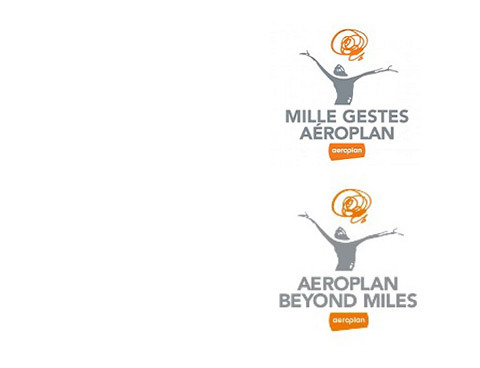 In 2015, donated Aeroplan Miles helped Isabelle Boileau, a fourth-year health sciences student, travel to Bogota, Colombia, to assist elderly women. 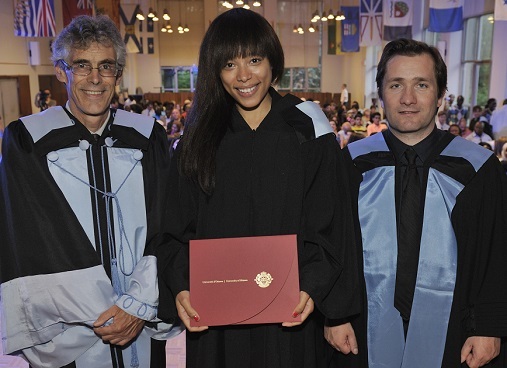 Three graduates from the University of Ottawa were recognized within the Order of Canada by Governor General David Johnston on December 30, 2015. 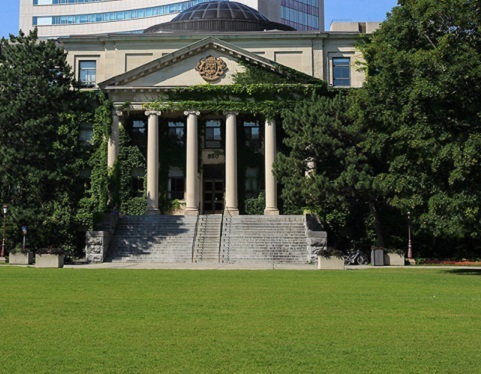 In light of their election on October 19, 2015, some 15 uOttawa alumni, one faculty member and one recipient of an honorary doctorate, will take up their seats in Parliament. And the University of Ottawa couldn’t be prouder of every one of them! 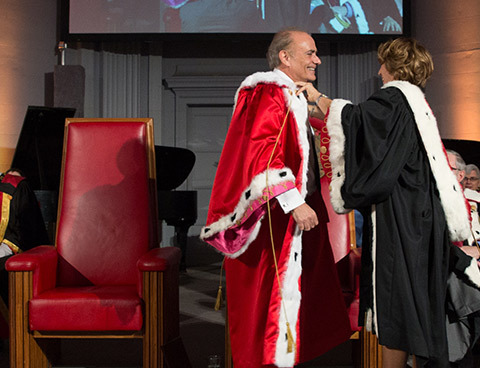 Last month, Air Canada CEO Calin Rovinescu was named University of Ottawa’s 14th chancellor, while his predecessor, Michaëlle Jean, was honoured with the renaming of a student volunteer centre. 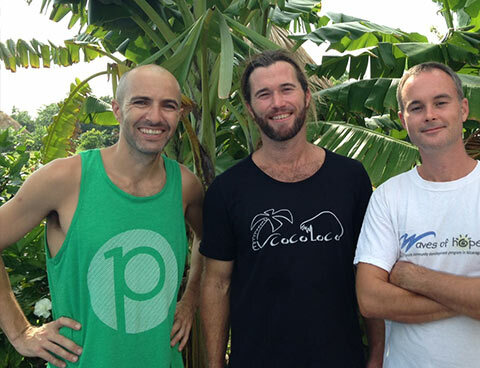 Three alumni find success following their dream of building a resort and establishing a charity in northern Nicaragua. 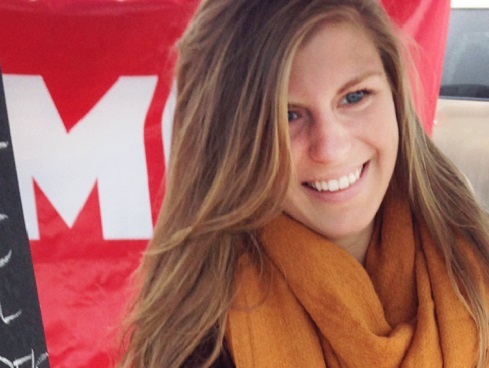 Gee-Gees basketball player Krista Van Slingerland is the driving force behind a national mental health initiative. Alumna Jeanette Jenkins has made a name for herself training Hollywood’s A-list stars, but her real passion is promoting healthy lifestyles for everyone. 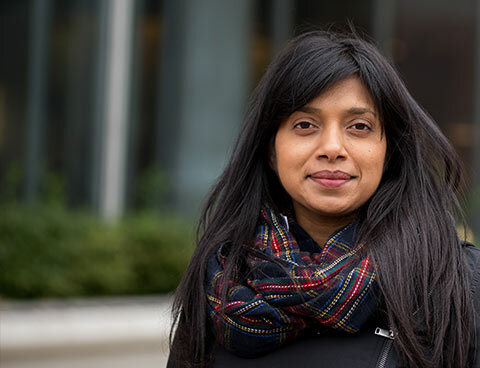 Recipient of a 2015 Vanier Scholarship, Thursica Kovinthan reconciles her past by conducting research on post-conflict countries. 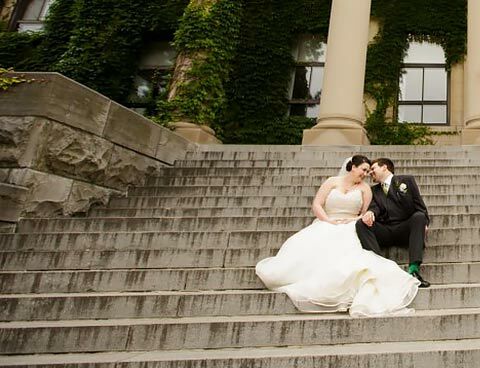 Introducing Carole Beaudry (BSc. 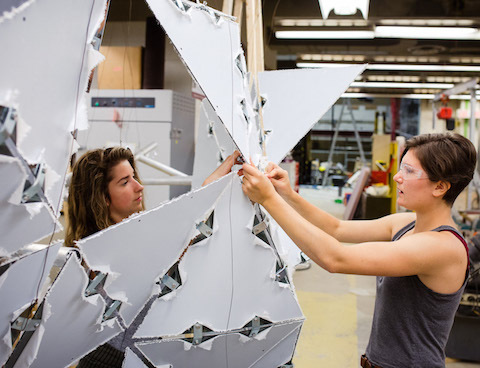 ʼ15) and Christina Vanderwel (PhD ʼ15, Mechanical Engineering) – two new alumnae ready to take the world by storm. 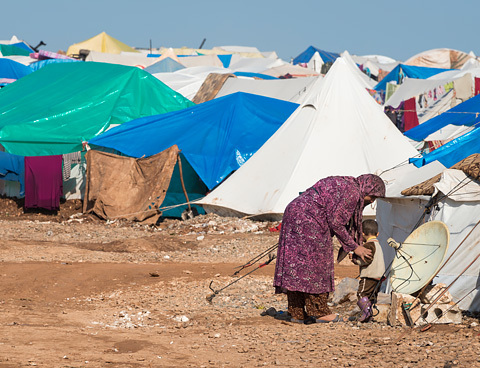 The University of Ottawa is leading a national effort to recruit pro bono lawyers to help private sponsorship groups bring Syrian refugees to Canada. Many alumni are key players. Born blind, Yusuke Kumai (PhD ʼ13, Biology) was a rising star researcher, until his life was cut short this summer. Friends and family are working to keep that star shining. 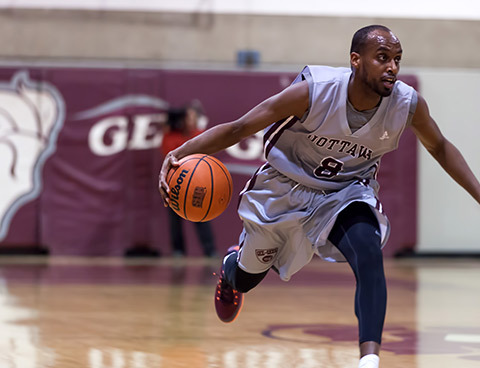 From Estonia, to Finland, to Ottawa—Former Gee-Gees Johnny Berhanemeskel (BSocSc ʼ15), Myriam English (BEd ʼ15) and Ettore Lattanzio (BA ʼ15) are pursuing their dreams in professional sports. 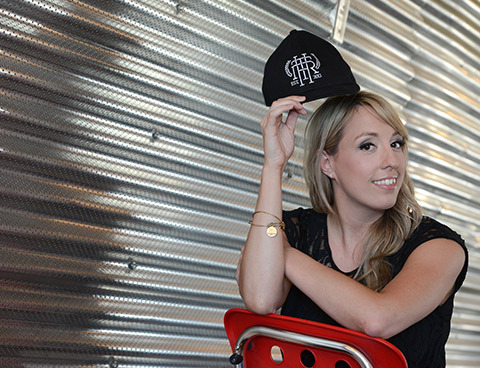 Danika Gagnon (BA ʼ08) marks the first anniversary of her new socially conscious clothing business. 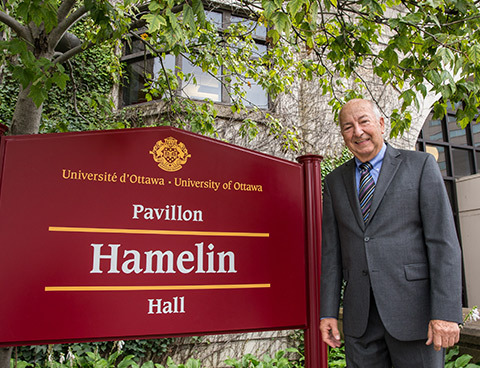 The Arts Building has been renamed Hamelin Hall in honour of former uOttawa president Marcel Hamelin, whose career on campus spans five decades. Nine theatre alumni including Margo MacDonald (BA ʼ91), Caroline Yergeau (BA ʼ09) and Louis-Phillipe Roy (BA ʼ08) recently won Rideau Awards. 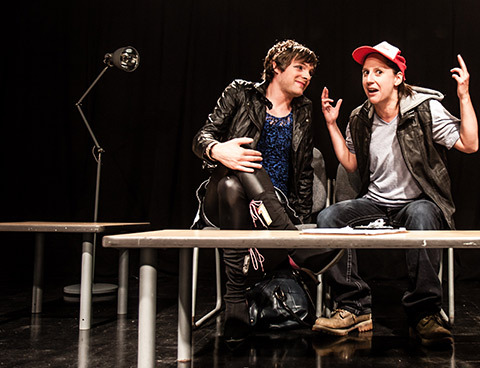 More acts are sure to follow when uOttawa’s black box theatre opens in 2017. 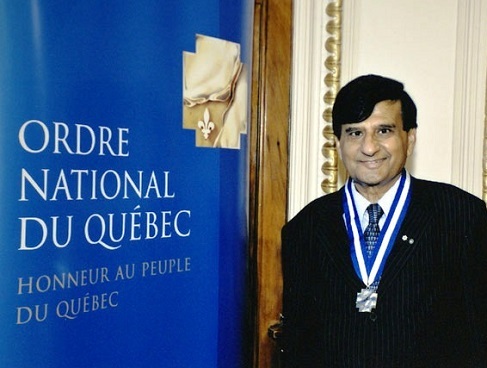 Engineering alumnus Raj Narula (BASc ʼ80) helps Canadian innovation and education flourish in India. 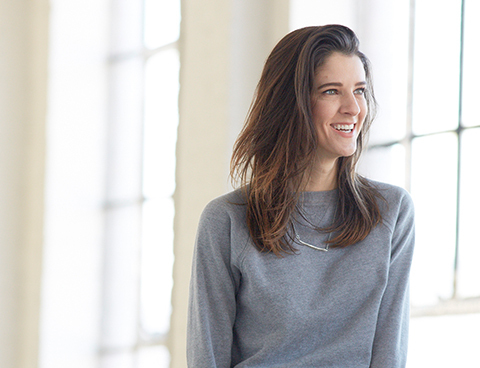 Sarah Saska’s offer to work for free as a researcher led to her co-founding Feminuity, a social enterprise focused on gender equality. 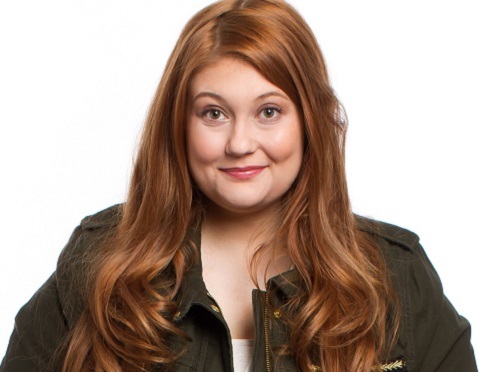 Five words that best describe the writing style of television and stage comedian Katherine Levac (BA ʼ11). A 10-year research partnership between uOttawa and the Chinese Academy of Sciences has pushed boundaries in fields ranging from reproductive biology to molecular photonics. They’re a group of five, and they go by the name The Howards. 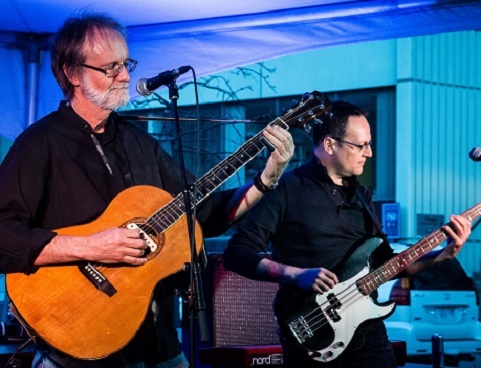 Two of them are professors in the Faculty of Education by day, and by night, they become musicians in a band. 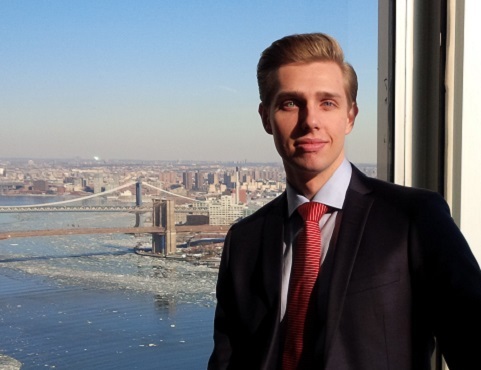 Engineering alumnus Kamil Mroz (BASc ’10) built upon his roots as a Polish-Canadian to start his own project management firm in Europe. 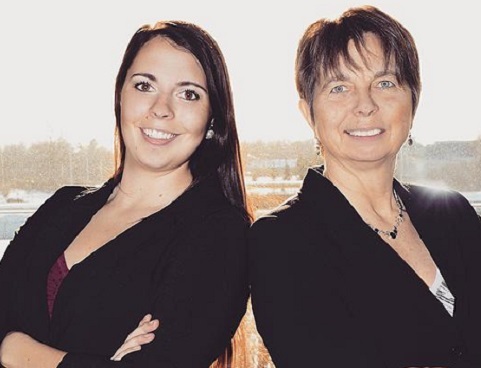 Telecommunications guru Debbie Pinard (BASc ʼ79) teams with daughter to change how event volunteers are managed. Is it that power suit or diligent networking that scores you the job? 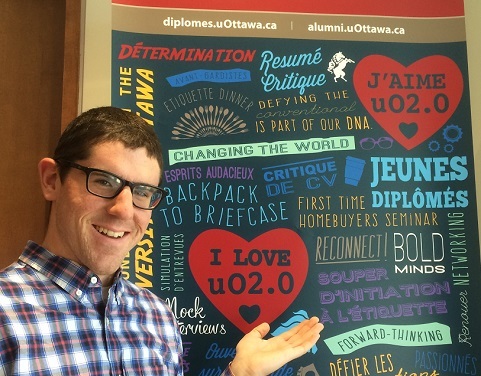 Alumni are sharing secret ingredients for kick-starting careers as part of uOttawa’s new uO2.0 program for future and young alumni. Telfer graduate Candace Tierney created a dairy-free ice cream with support from Ottawa's Start-Up Garage. It is a story of sweet success. 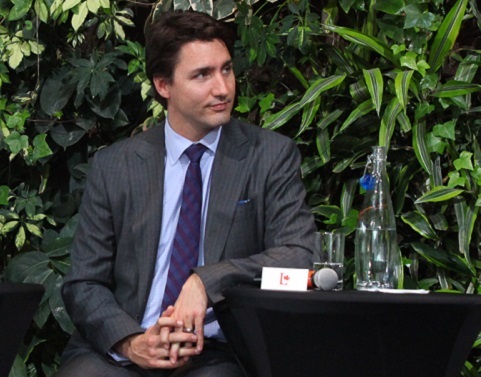 The federal election has some talking about engaging youth in politics. 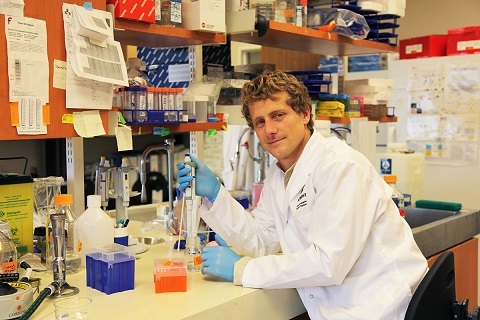 A uOttawa research chair has taken on the challenge. 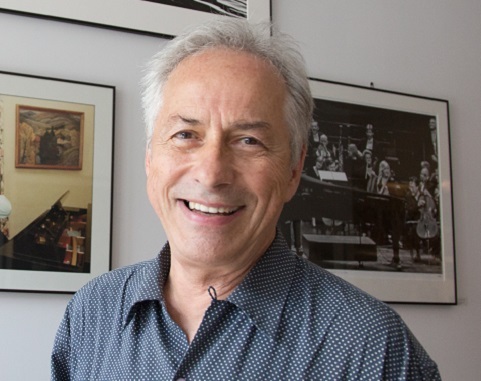 Photographer Jean-Marc Carisse (BA ʼ74) describes a lifetime in the shadows capturing candid moments of the biggest personalities in politics and pop. His first job on Parliament Hill sent him straight to then-prime minister Pierre Elliott Trudeau’s office. 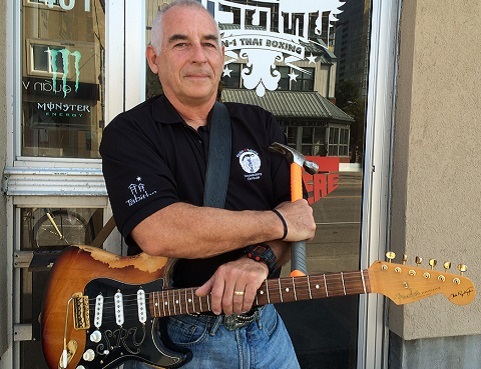 Alumnus Bob Carver (BPhysEd ʼ84) has used martial arts and music to raise funds to build homes for more than 660 people in Cambodia. 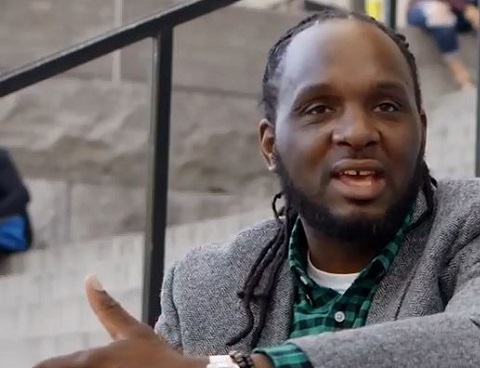 Over the past 10 years, many uOttawa alumni have wielded hammers to help. Treating stroke is a race against time. 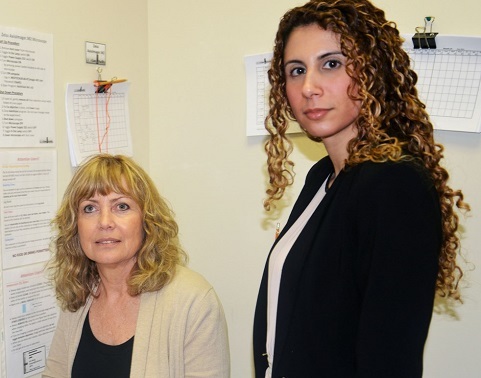 iRecover’s unified approach gives stroke survivors a head start on self-guided speech therapy. Young alumni André Bellerive (BASc ʼ14) and Marc Bjerring (BASc ʼ14) hope their swivelling selfie stick will capture the world’s “Whoa, dude!” action sports moments. 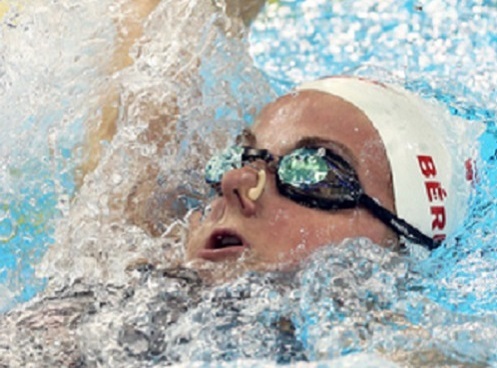 Alumni and student athletes had their fair share of gold, glory, blood, sweat and tears at the Pan Am and Parapan Am Games in Toronto this summer. 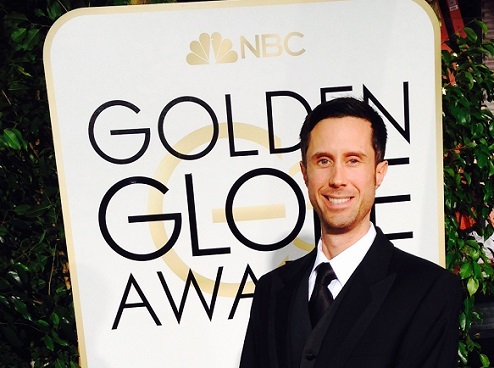 Plenty of ambition and a shot of courage got Benoit Landry (BA ’03) a dream job with NBCUniversal in Los Angeles. 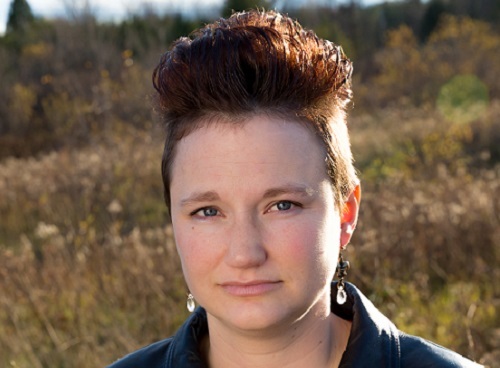 Tina Charlebois (BEd ʼ06) is a celebrated writer in the Franco-Ontarian literary world. 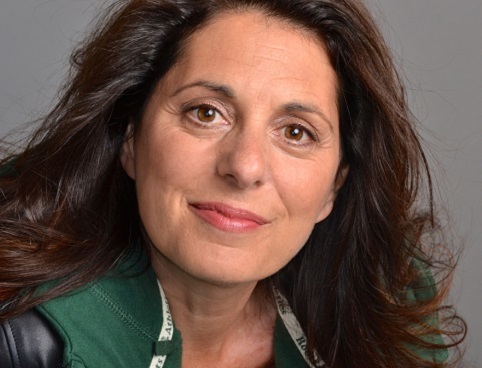 She will take part in the upcoming tribute to Franco-Ontarian writing at Ottawa’s National Arts Centre this month. 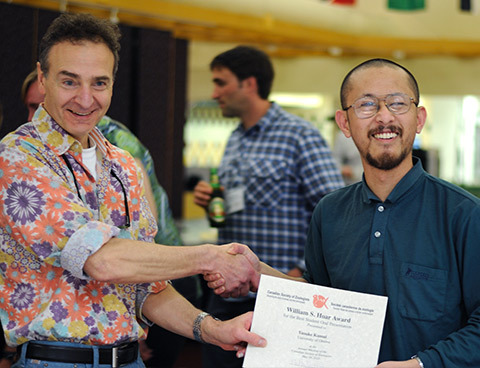 Dr. Ruey Yu decided to do something to honour his PhD supervisor. 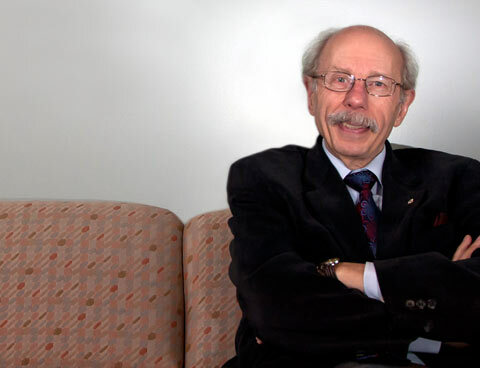 He decided to “pay-it-forward” by making a generous gift to the Faculty of Science to create the Professor Hans Helmut Baer International Student Scholarship in Chemistry. 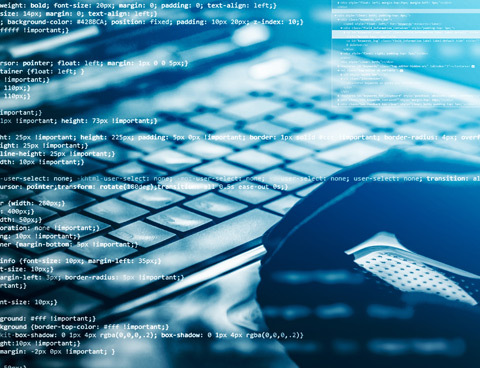 Easy access to personal information is a growing threat to privacy. 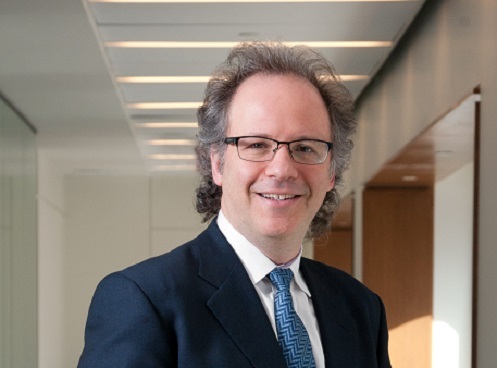 Michael Geist is a tireless privacy advocate as Canada’s surveillance laws undergo legislative reform. 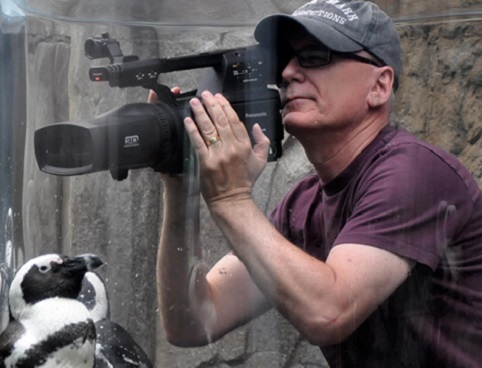 Steven Stein built a global business that predicts individual and organizational behaviour. His methods have been used to assess millions of people, from reality TV contestants to U.S. Navy Seals. 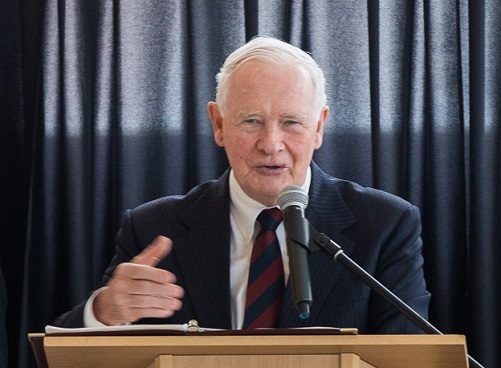 Governor General David Johnston says globalization, rapid technological change and breakthroughs in research about the human brain demand new approaches to learning. 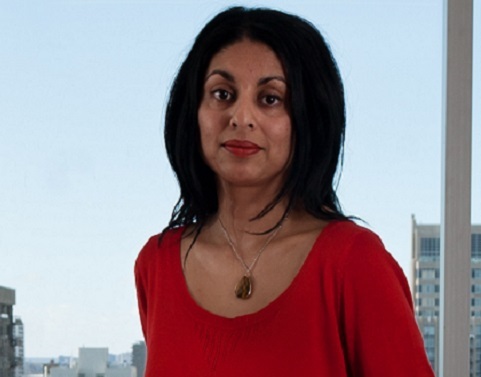 Mythili Rajiva looks beyond the headlines to probe pressing questions of sexual violence against girls and women. 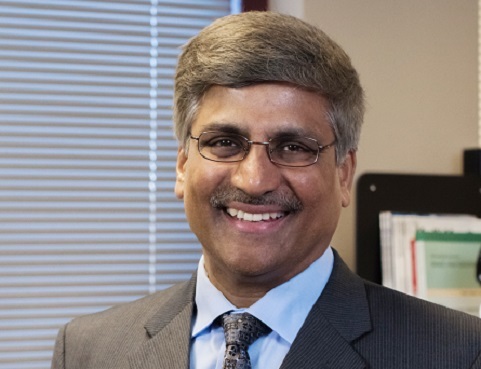 Engineering alumnus Sethuraman Panchanathan is one of 24 members on the influential U.S. National Science Board, advising President Barack Obama on science and engineering policy. 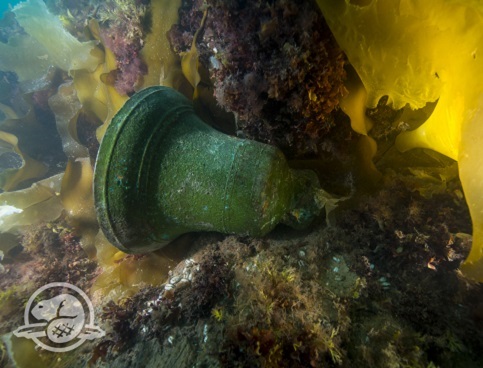 Parks Canada’s chief underwater archeologist Marc-André Bernier dove under the Arctic ice six times to help retrieve a 6-pounder bronze cannon and other artifacts from HMS Erebus. 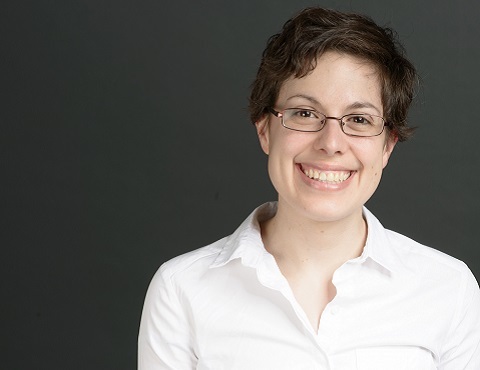 Researcher Sophie Lebel’s innovative contributions in psychosocial oncology offer help and hope for people living with the illness’s aftermath. Will robots steal our jobs? Can carbon-pricing save our planet? 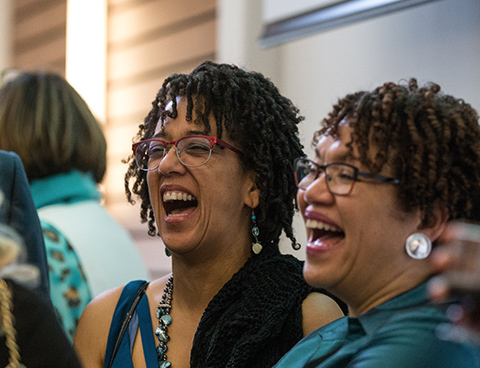 University professors and researchers will lead interdisciplinary talks on these questions and more at the 2015 Congress of the Humanities and Social Sciences. Jeopardy! 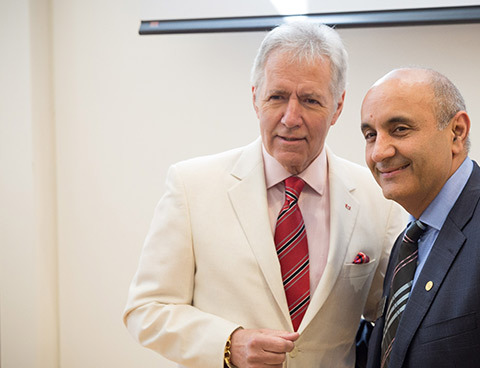 game show host Alex Trebek’s $2 million gift means uOttawa’s 196,000 alumni now have a place on campus to call their own. 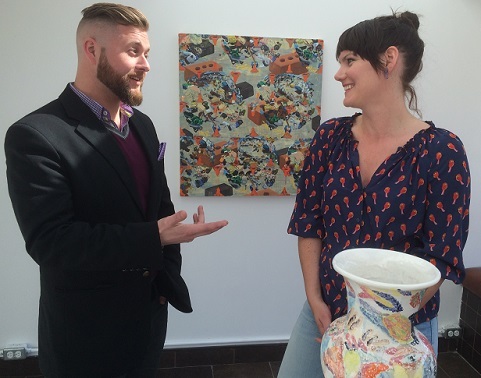 Why Brendan A. de Montigny and Meredith Snider of up-and-coming art gallery PDA Projects believe Ottawa is on the brink of an artistic renaissance. Ashok Vijh left India more than 50 years ago seeking adventure. He used science and smarts to find it. 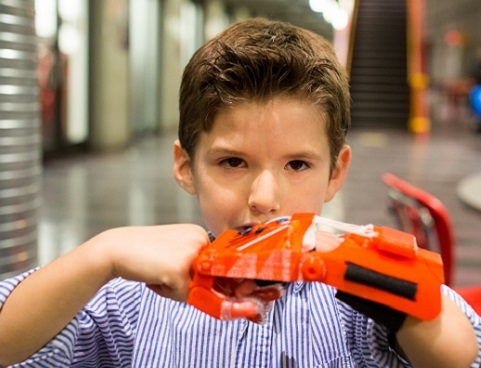 Makerspace, the Faculty of Engineering’s smash hit 3D-printing facility, is going mobile and coming to your neighbourhood. 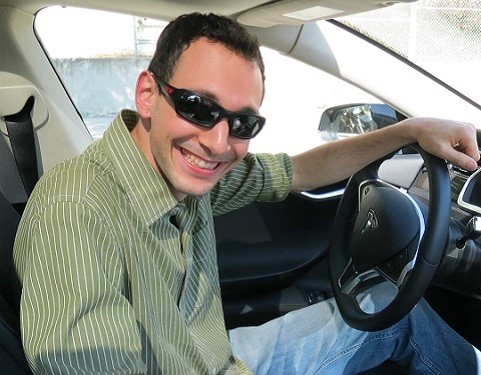 Anthony Bagnulo, senior test engineer for leading electric car company Tesla Motors, is on a mission to stop cars from burning fossil fuels. And he’s brought other uOttawa grads to join him. Student mentoring project builds strong links among francophones on Glendon College campus in Toronto. Tao Zhu found a new way to squeeze lasers to an ultra-narrow linewidth. 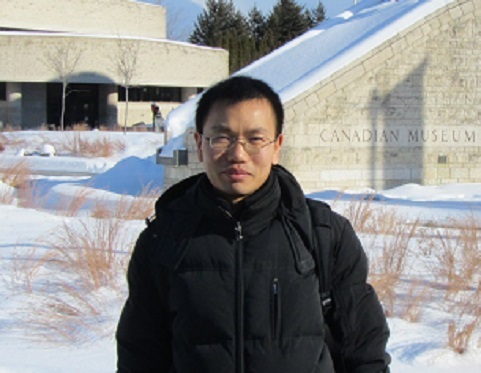 The roots of his work began at uOttawa with Professor Xiaoyi Bao, a Canada Research Chair in Fibre Optics and Photonics. 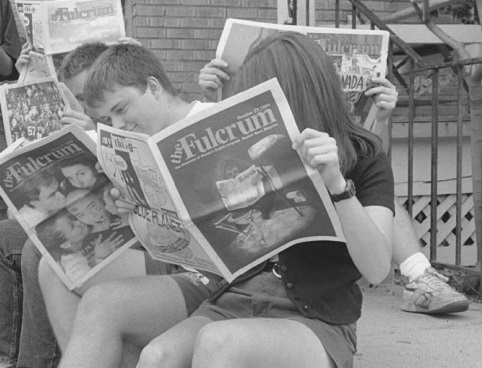 From hot dog wars to a life-saving campaign to install a traffic light on Laurier Avenue, student newspaper The Fulcrum has covered it all. Former contributors will swap scoops at a party celebrating its 75th Volume next month. 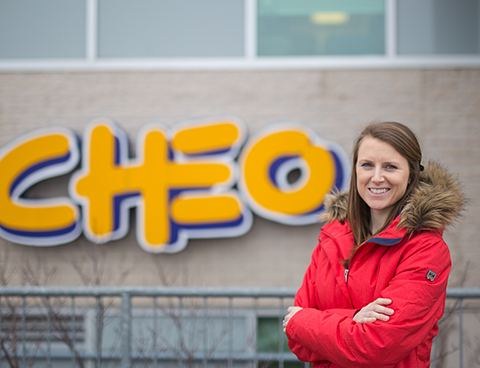 Alumna Megan Cotnam-Kappel’s determination to study in French while growing up in small-town Ontario informed her doctoral research on why kids choose minority-language schools. A keynote speech by three-time Pulitzer Prize winner Thomas L. Friedman, author of The World is Flat, will be a highlight of the 2015 Alumni Week next month. Many other lectures will also focus on the themes of freedom, security, terror and democracy in this digital age. Lee Silverstone flexes his entrepreneurial muscles with workout tracking tool. 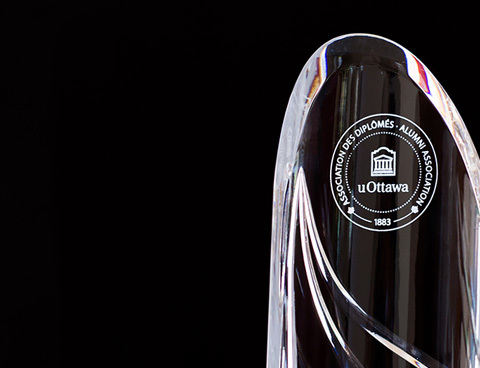 Get to know the six recipients of the 2015 Alumni Association Awards of Excellence. 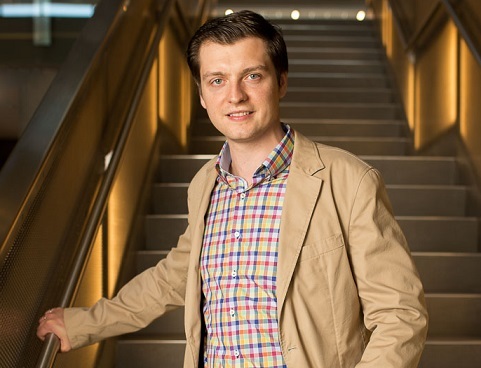 Jean-Christophe Martel (LL.L., JD ʼ10) honed award-winning debating skills throughout his education on both sides of the Atlantic, including his time at Oxford as a Rhodes Scholar. Today, he puts them to good use as an associate at one of New York’s top law firms. 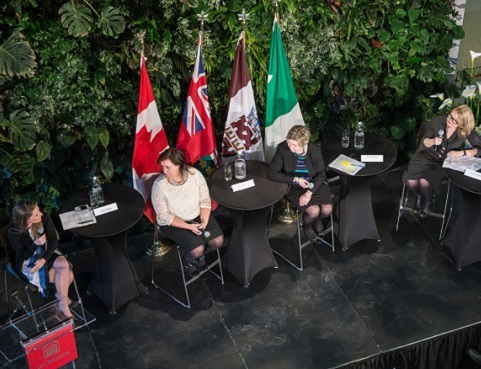 Could the 2015 federal election see more women elected as MPs? 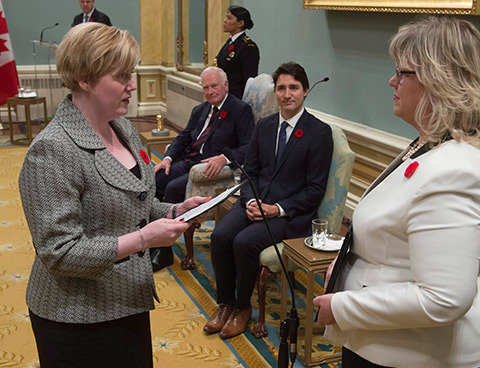 Three uOttawa alumnae, of very different political stripes, certainly hope so. 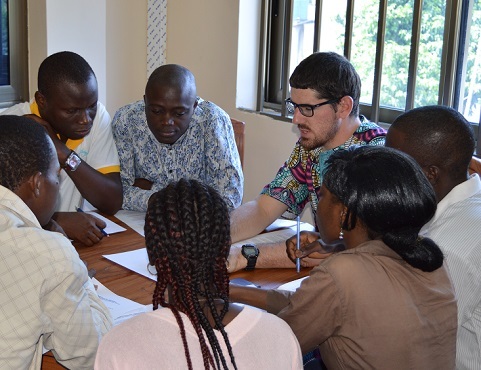 Economics student Phil Spencer set up an English club to help French-speaking students at the African School of Economics in Benin thanks to uOttawa’s CO-OP program. 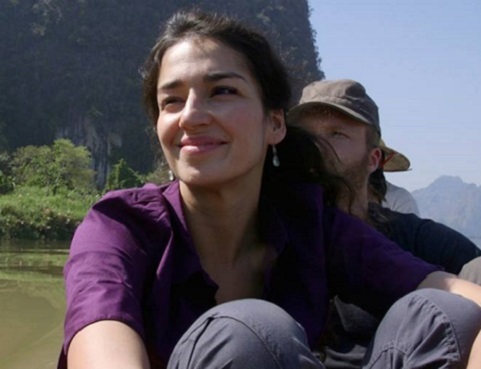 Alumna Nisha Toomey is exploring the world to find positive stories that inspire change. Marcel Pronovost, fascinated by genealogy, taps into his rich family history to inform his novels. 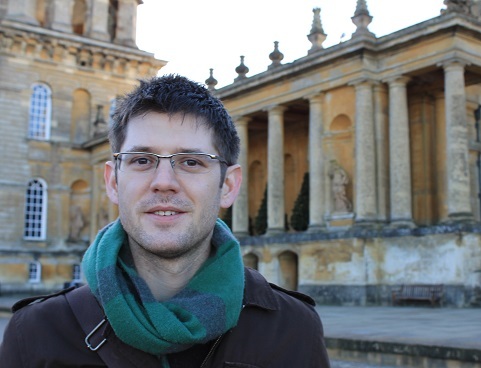 Moonlighting as a science journalist helps Tyler Shendruk (PhD ʼ14, Physics) stay focused on the big picture as he studies very tiny fluid flows at Oxford University. 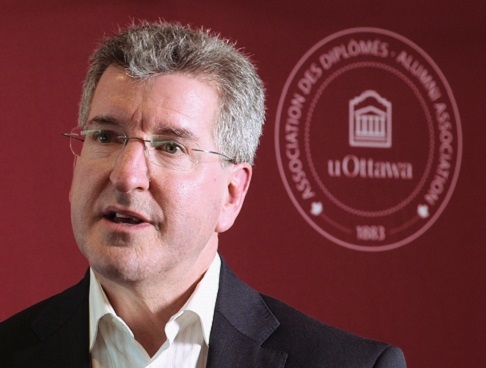 Donald Beauchamp: An extraordinary communicator makes his way from uOttawa to the Habs. Lawyer, linguist, professor and jazz pianist Ron Davis (JD ʼ82) is in the studio recording his 10th album, Pocket Symphronica. 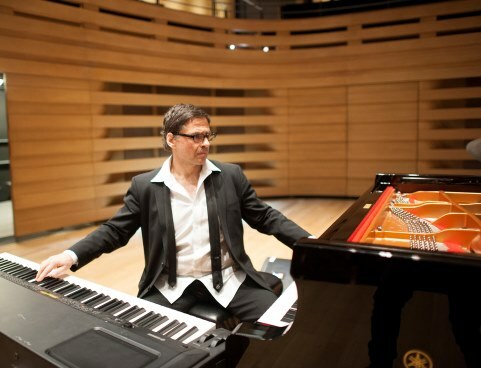 His unconventional approach mixes jazz with Japanese taiko drumming, symphony orchestras and pop songs. 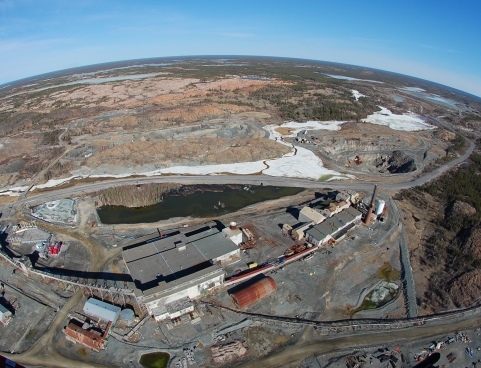 Expert environmental toxicologists from uOttawa are monitoring the legacy of pollutants in Canada’s North, including at the Giant Mine site, while training the next generation of analytical eco-warriors. 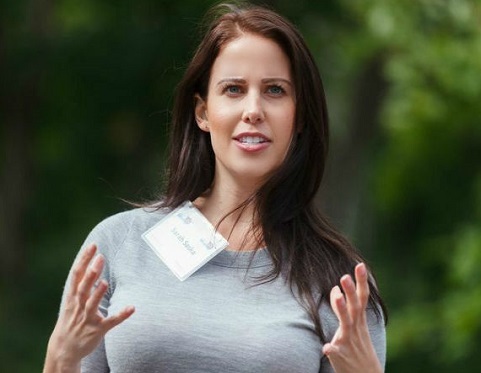 Erica Ehm (BA ʼ85) talks about her career, from her days as a pioneering MuchMusic VJ to her current role as digital mom strategist and founder of YummyMummyClub.ca. Murielle Pallares rescues child soldiers and watches out for deadly black mamba snakes in the Democratic Republic of Congo. 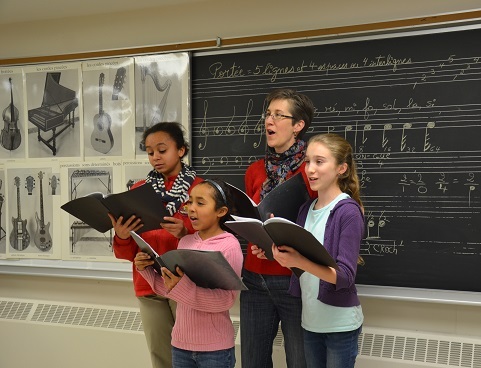 Alumna and professor Marie-Josée Vignola started a unique choir that brings families together. 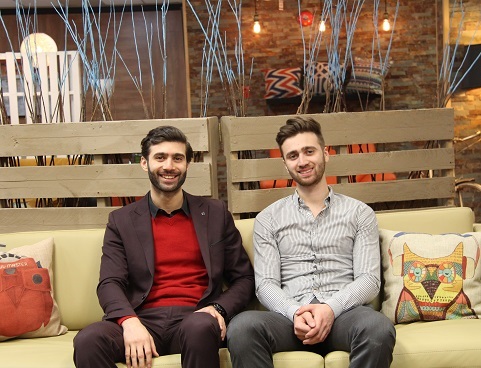 From baristas to business owners: Jamil and Elie Nassif are using their economics degrees to make it big in the modern furniture business. 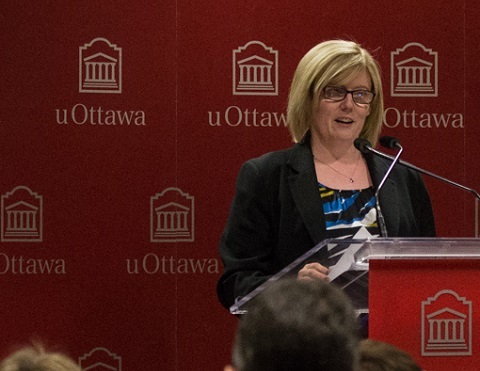 Elizabeth Rody, newly-elected uOttawa Alumni Association president, makes sure that feathers aren’t ruffled as Chief of Protocol for the Parliament of Canada. 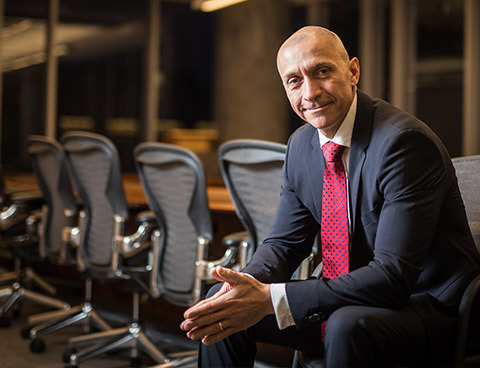 Chuck Rifici will receive the Faculty of Engineering’s first Alumnus/Alumna Entrepreneur of the Year award. 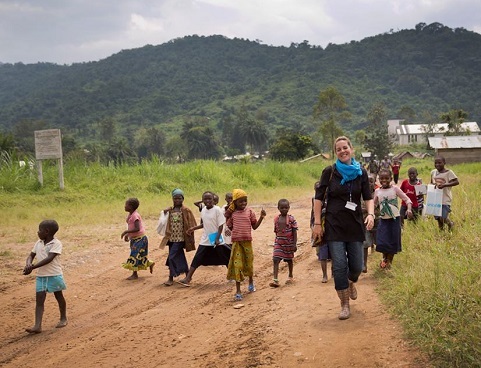 Renée Black continues to Defy the Conventional with PeaceGeeks, a non-profit organization that teaches high-tech skills to groups around the world that work for peace and human rights. 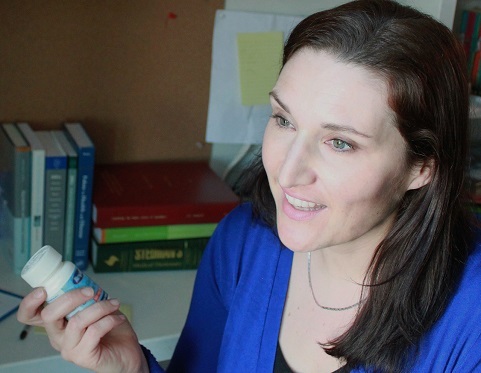 Cynthia Colapinto (PhD ʼ13 in Population Health) seized upon new statistics to investigate Canadians’ levels of folic acid. 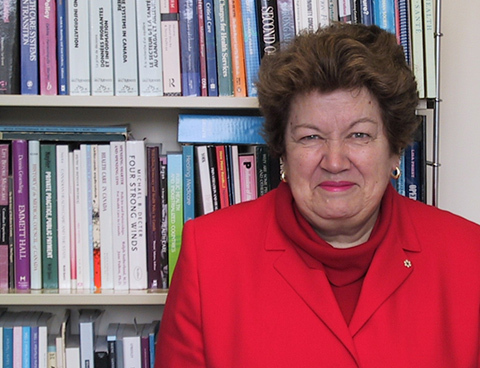 Today she checks the evidence behind Health Canada’s dietary guidelines. 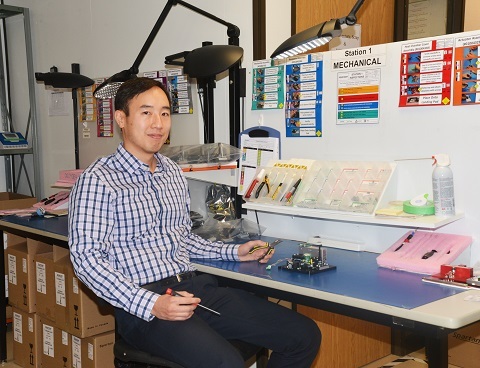 uOttawa MD graduate Paul Lem’s rapid DNA testing machine helps heart attack and stroke patients receive targeted treatments. 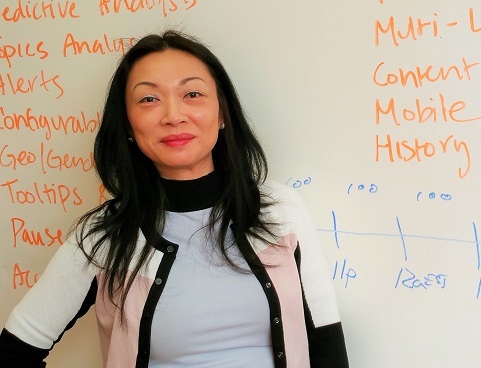 Alumna Mina Lux was on track to become a biochemical engineer when she changed course to become a digital marketing guru. 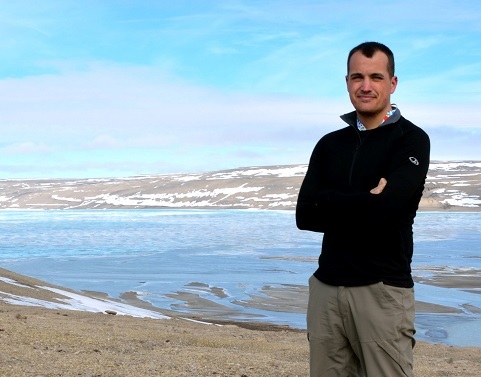 Alumnus Marc-André Bernier was one of the first people to see HMS Erebus, one of two Franklin expedition ships that have been missing for 170 years. 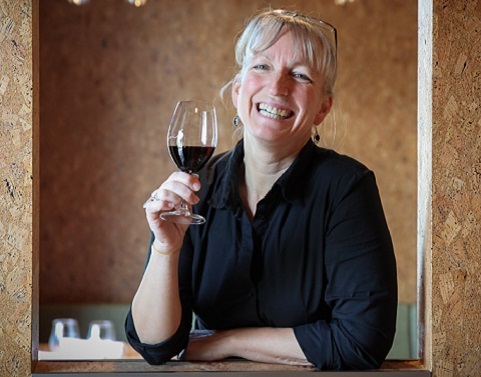 The owner of the wine bar Soif, Véronique Rivest, works non-stop to know everything about being a sommelier. A quirk of evolution means jumping genes can cause some cancers and make cells resistant to drug treatments. 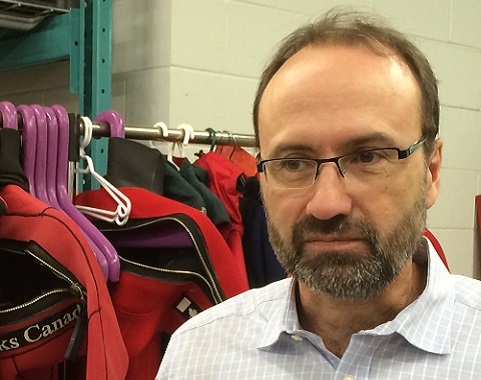 A uOttawa prof has found a cell mechanism that could calm them down. 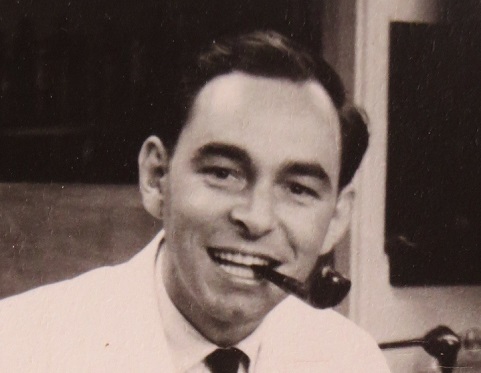 Years before TV went digital, theatre grad Randall Dark was well ahead of the curve when it came to exploiting the revolutionary potential of HD. 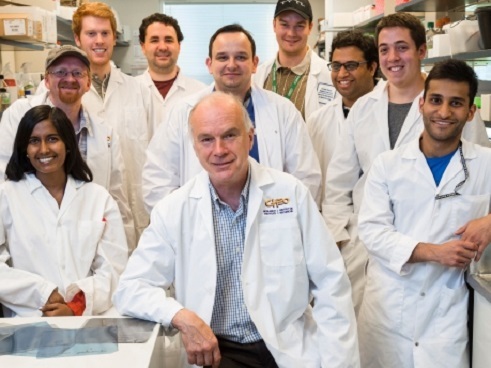 Researchers at the uOttawa Brain and Mind Research Institute find a way to keep cells alive after stroke. 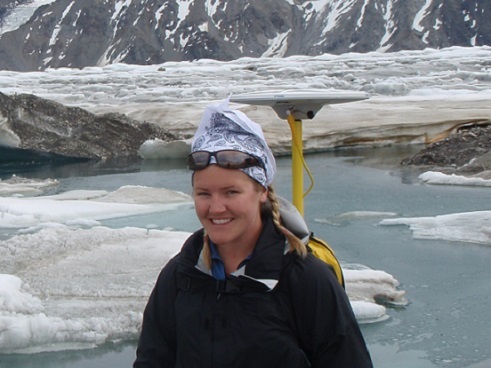 University research on icebergs, glaciers, sea ice and Arctic shipping is strengthening — and leading to cool jobs for graduates. Rachel Homan’s curling team’s inner game is healthy, thanks to a uOttawa professor’s rink-side manner. 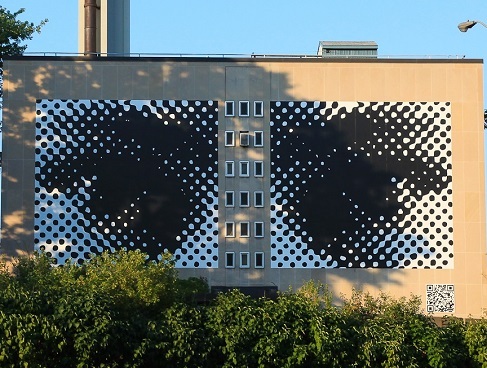 From the back wall of MacDonald Hall, they’ve peered out over the city for more than four decades. 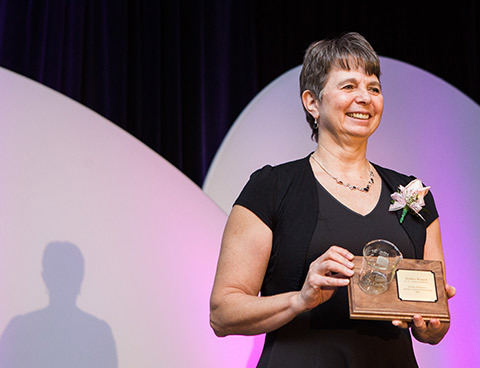 uOttawa pediatrics professor Dr. Alex MacKenzie wins 2013 Champion of Genetics Award.